Do you know which OPS school gained national recognition? 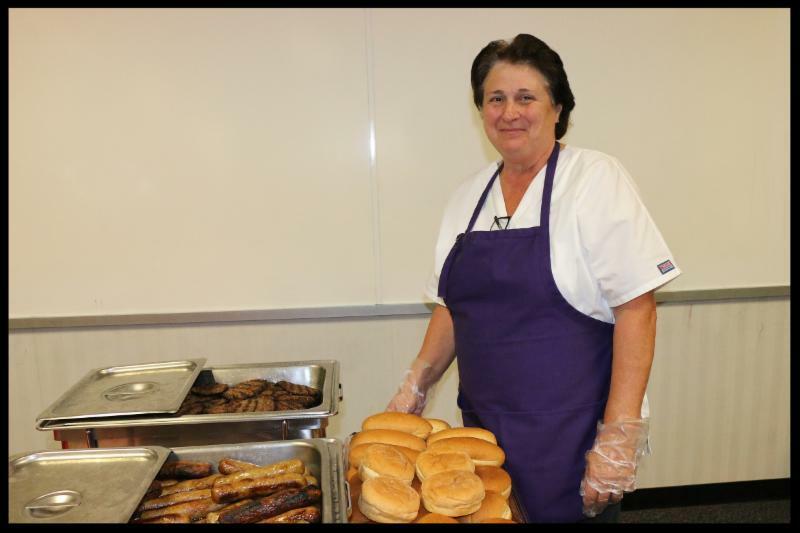 Each morning, our families entrust us with the education of their most precious assets, our students. That responsibility comes with the accompanied assignment of ensuring a safe and secure learning environment. We take that responsibility very seriously. Today’s society requires each of us to remain vigilant. That means regularly monitoring our surroundings, paying attention to the well-being of one another and alerting administration and/or authorities anytime we see, notice or hear something that causes concern. As the Superintendent of the Omaha Public Schools, safety is the number one priority for me. The leadership team continuously engages in safety and preparedness activities alongside our supportive partners in local law enforcement and emergency response. Daily, we work to ensure a proactive approach to safety and threat assessment, and to enhance our preventative measures, as well as our emergency response plans. School leaders are receiving additional training in safety and threat assessment best practices, crisis management and crisis communication. As part of the training, school leaders learn how to build positive, trust-oriented relationships designed to tend to the emotional well-being of our kids. 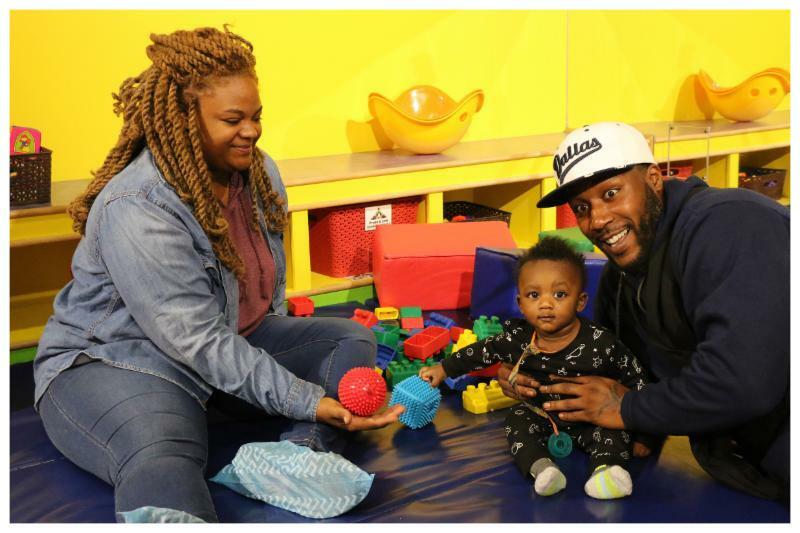 They also learn to identify and escalate information about concerning behaviors early. Our Safety Office is providing consistent training across our district in Standard Response Protocol (more than 200 school districts across the state of Nebraska use SRP to ensure consistent response vocabulary and emergency response actions). Our School Resource Officers and security officers provide oversight during regularly-practiced safety drills. Administrators are reviewing and updating emergency/crisis management plans. Central office level school leaders have engaged in table-top exercises (Discussions regarding holding mock and full-scale exercises in the future are underway). We have invested a significant amount of resources into fire, life and security upgrades thanks to support from Omaha taxpayers. Administrators review and update communication protocols and monitoring systems as needed. The national conversation around school safety continues to evoke questions and concerns for all of us. We want you to know that the safety of our students and staff remains at the very top of our priority list daily. 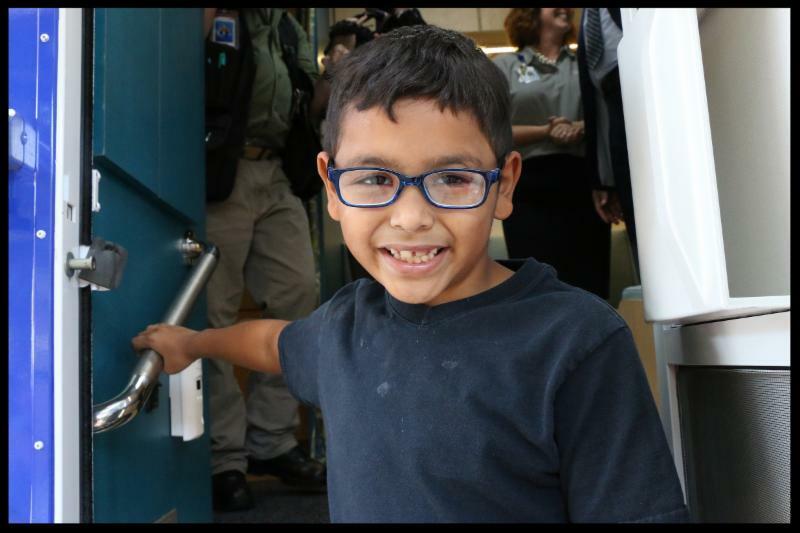 When our students walk through the doors each morning, we know many of them experience school as much more than “a place to learn.” School is where our kids come for fellowship. It is where they come for respite. 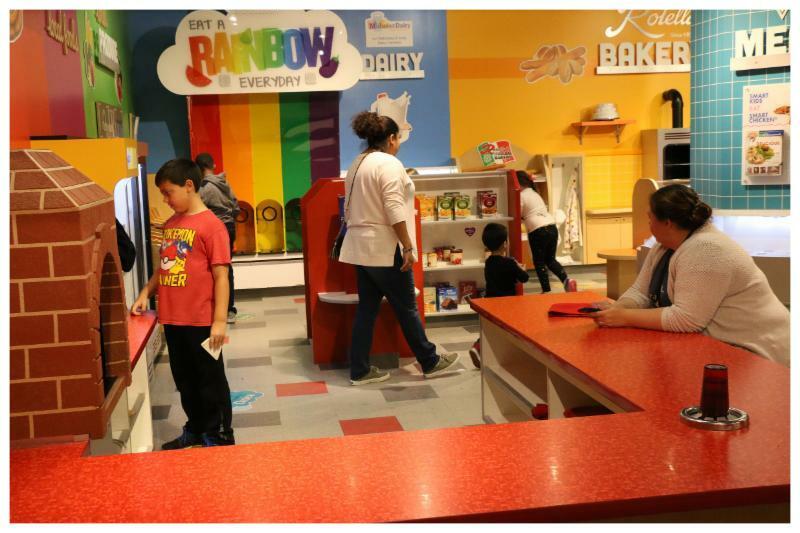 It is where they come to prepare themselves for their futures. 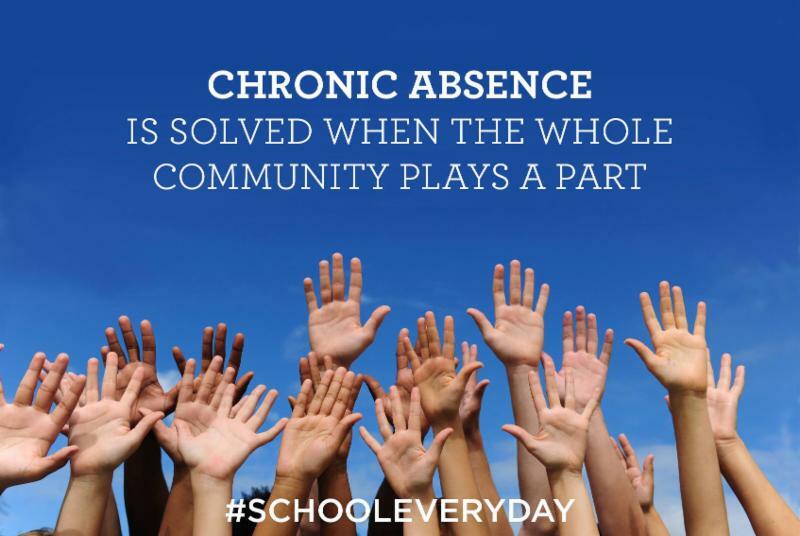 Our daily commitment to our staff and students is that all of those activities take place in an environment that is safe and secure. We will continue to work diligently to do everything within our power to keep that commitment. 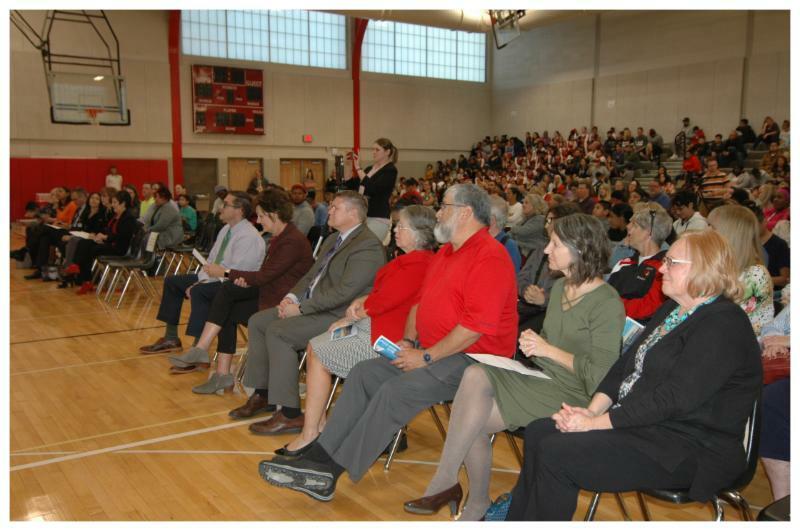 My ask of each of you is that, together, we continue to fulfill our individual responsibility toward supporting our students and staff, remaining vigilant and guiding our students toward making good choices. 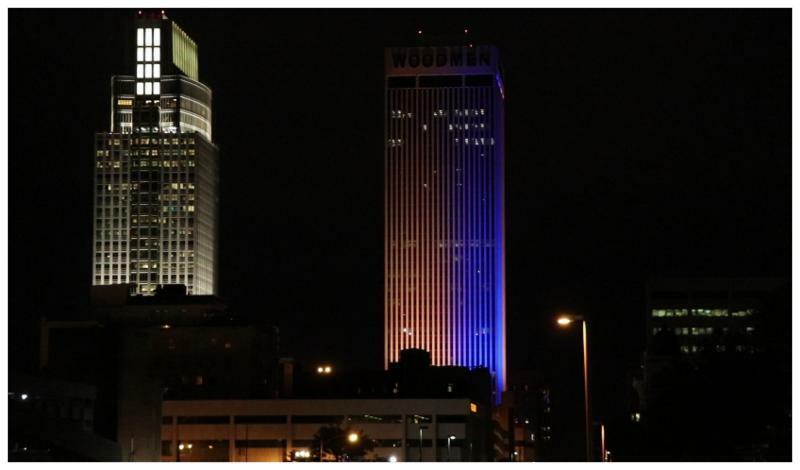 We appreciate your continued confidence in us as well as your support of the students and staff of the Omaha Public Schools. 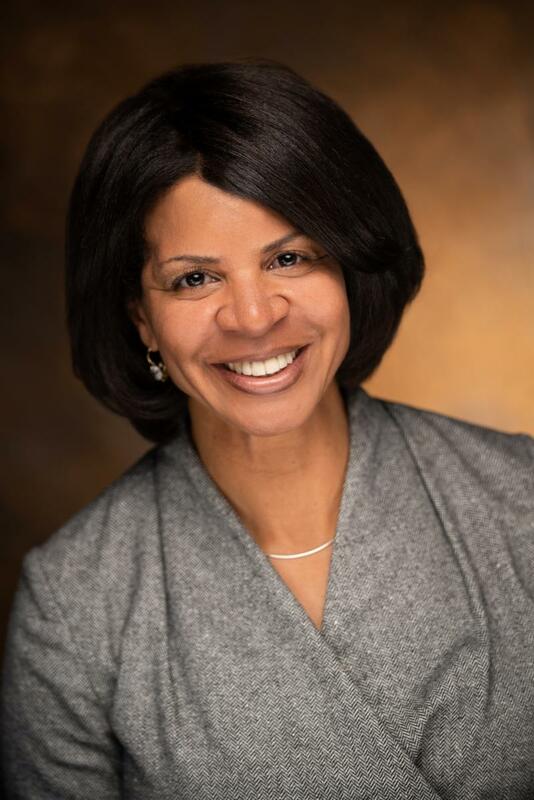 ‪ Cheryl J. Logan, Ed.D. 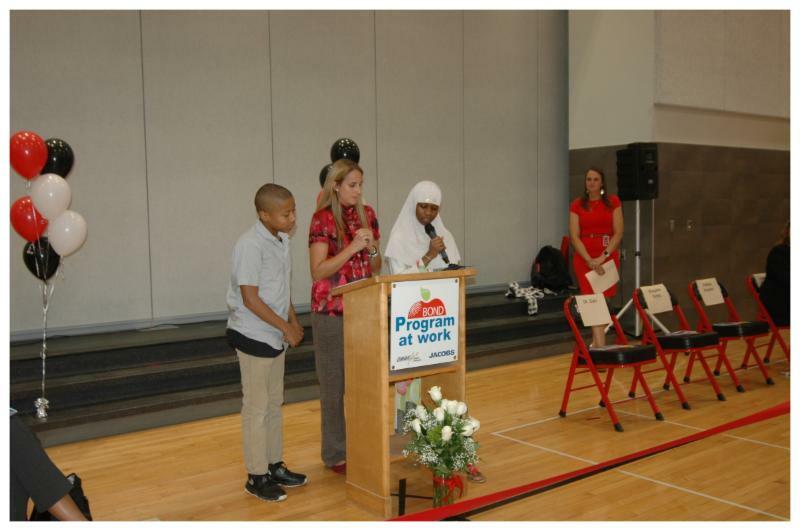 CHI Health and Omaha Public Schools are partnering to honor teachers across the district. 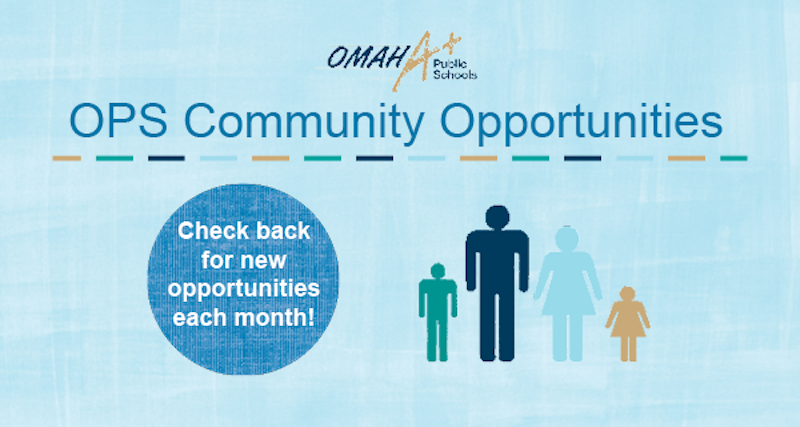 Starting this month, CHI Health is seeking nominations of Omaha Public Schools teachers who are changing the lives of students. 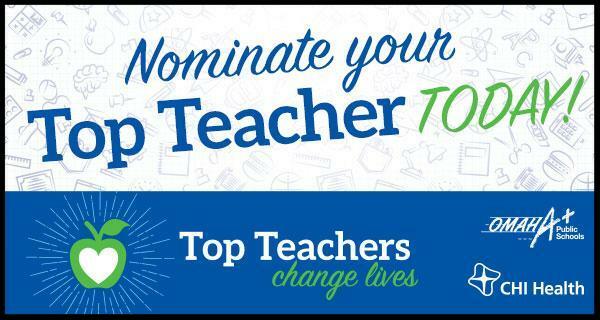 Each month, they’ll surprise a Top Teacher nominee with a school supply basket and gift card. Winners will be drawn on the last Friday of the month. 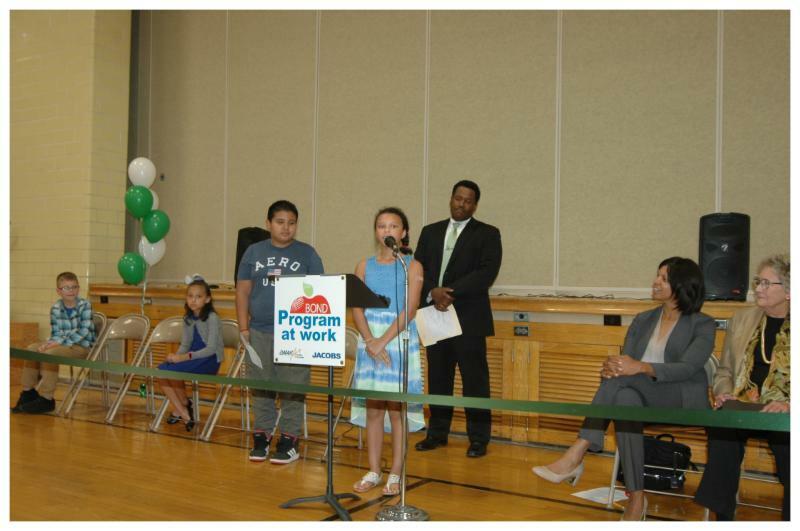 CHI Health will randomly select winners from four different grade levels across the district. 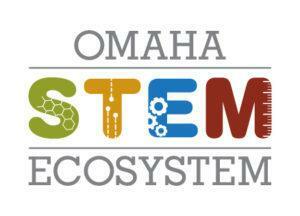 CHI Health and Omaha Public Schools will begin sharing this information with the community via social media this week. 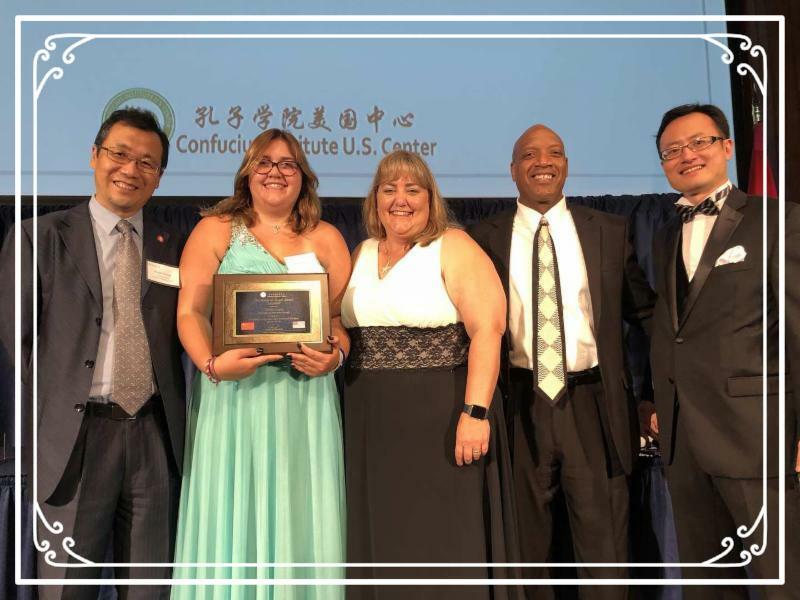 …Northwest High Magnet School junior Trinity Lewis for receiving national recognition for her immersion in the Chinese culture and language during a ceremony at the Confucius Institute conference held in Washington, D.C. The Confucius Institute is a non-profit, public institute dedicated to promoting and teaching Chinese language and culture in Nebraska at the University of Nebraska-Lincoln. Trinity is seen pictured on the left in green. 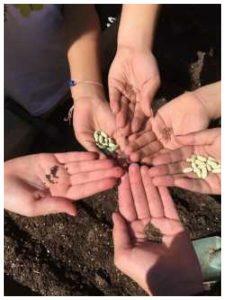 Bryan Ag Program Named National "Model"
...Bryan High School’s Urban Agriculture College and Career Academy, which was designated as a National “Model” Academy by the National Career Academy Coalition. 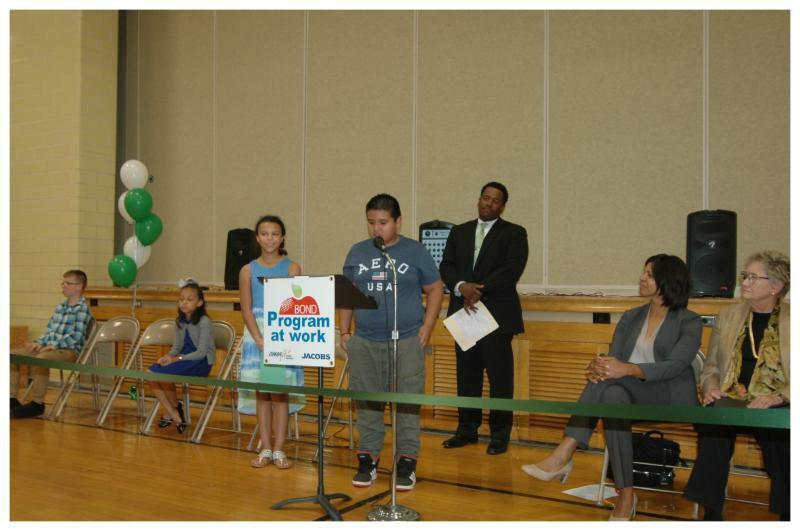 The reviewers commended Bryan’s plan for sustaining a program for students, parents and the community along with the rigor of the curriculum and relationships with industry partners. Bryan is the first school in Nebraska to achieve this status. 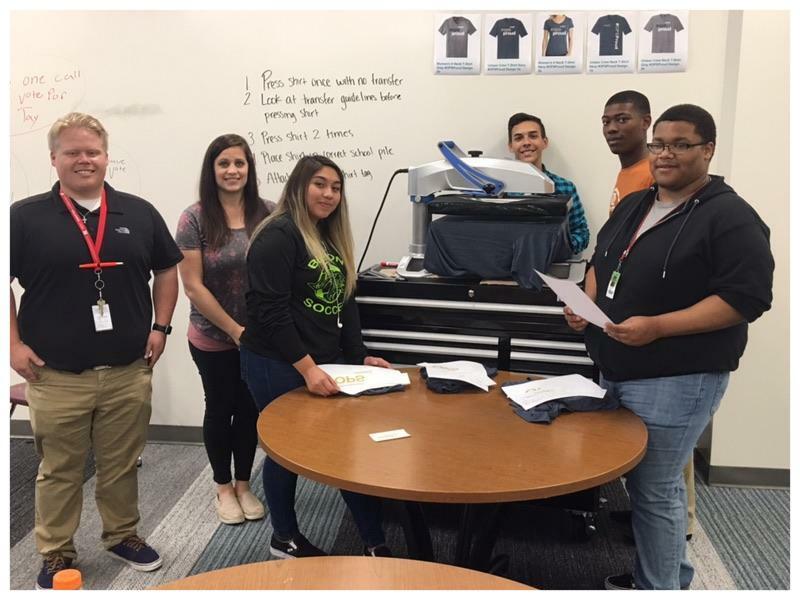 The team will be recognized in November at the National Career Academy Coalition Conference. This recognition will also allow Bryan High to host learning labs around model academies that draw people from all over the country. In addition to this award, for the second year in a row Bryan’s Future Farmers of America (FFA) chapter received the Governor’s Excellence in Ag Award. Brytany Gama was also named State Vice President for the Nebraska FFA Chapter. This is the first time since 1983 that Bryan has had a state officer. ﻿ In other accomplishments at Bryan High, this spring at the Nebraska State DECA Conference, Bryan High’s DECA Chapter was awarded the Nebraska Distinguished Chapter of the Year. Lastly, for two consecutive years, Bryan High’s Educators Rising Chapter has had a state officer representing the entire state of Nebraska and Bryan High School. 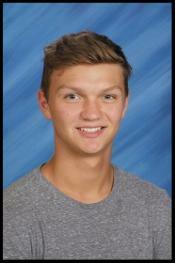 Bryan was recently highlighted during a Board of Education meeting. Go Bears! 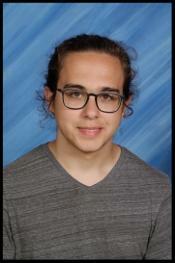 …Central High School seniors Rosalie Dougherty, Hudson Hooper and William Svolos for being selected as National Merit Semifinalists in the Merit Scholarship Program by the National Merit Scholarship Corporation. These students now have the opportunity to continue in the competition for one of 7,500 scholarships worth more the $31 million. 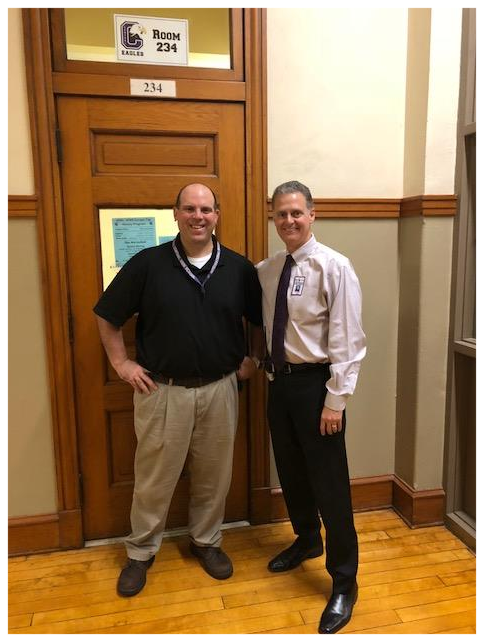 ...to Central High School history teacher Scott Wilson for being selected as a finalist for the Nebraska Teacher of the Year by the Nebraska Department of Education. The National Teacher of the Year Program began in 1952 as a means of recognizing outstanding teachers. 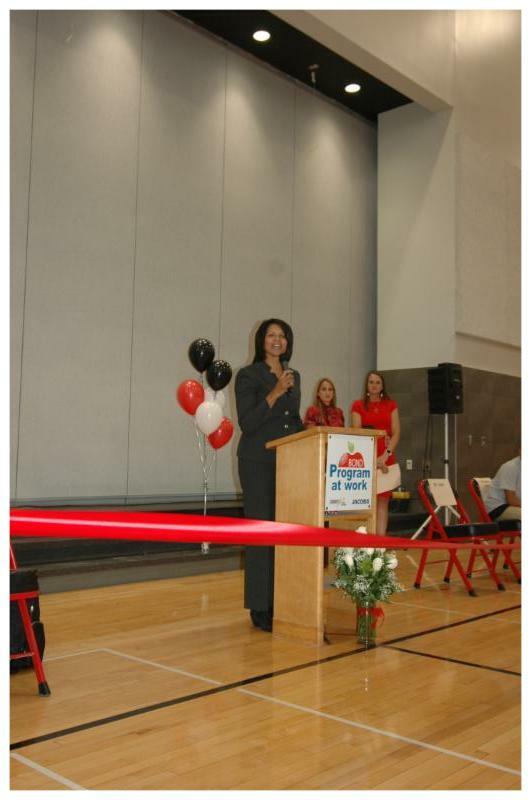 The Nebraska Teacher of the Year Program has been in place since 1972 and is sponsored by the Nebraska Council of School Administrators. The committee reviews all the applications and selects five Award of Excellence Teachers, who go through an interview process before the final selection is made. Wilson (pictured left) is seen with Central High School Principal Dr. Ed Bennett. 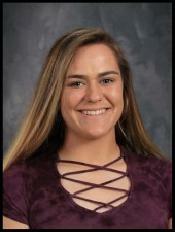 …to Northwest High Magnet student-athlete Alyssa Gappa who was selected as the MaxPreps NFCA National High School Player of the Week. The recognition is to honor her standings in softball. She has had 17 homeruns for the season and her career total is 32. She is now in the running to tie or break the state record of 19 homeruns in a season and has an equally good chance to break the state career homerun record of 40. She is currently the season and career homerun record holder at Northwest and her accomplishment have established her as a Division 1 softball prospect as a junior. 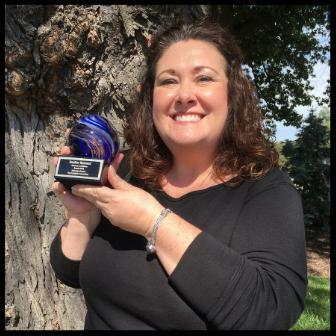 …to Burke High School drama teacher Emily Mokrycki for being honored with the 2018 League Educator Apple Award by The Broadway League, the national trade organization for the commercial theatre industry. 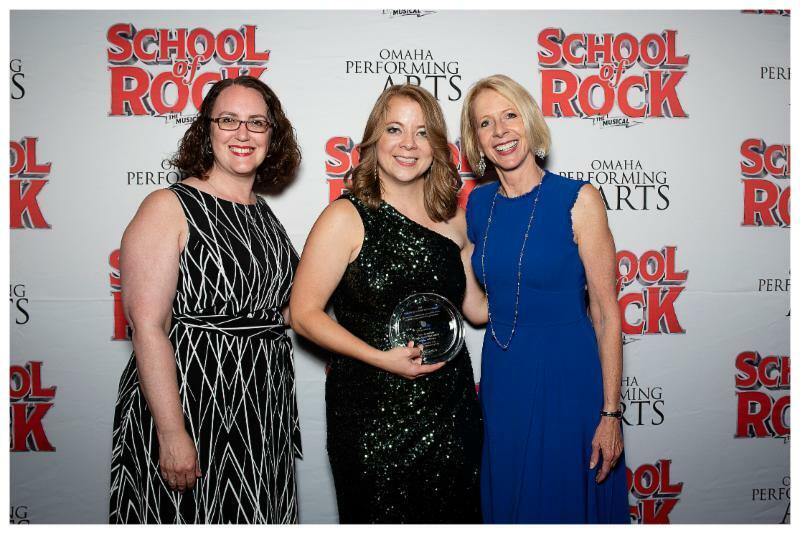 Mokrycki received her award at the Omaha Performing Arts’ Broadway Ball on September 7. 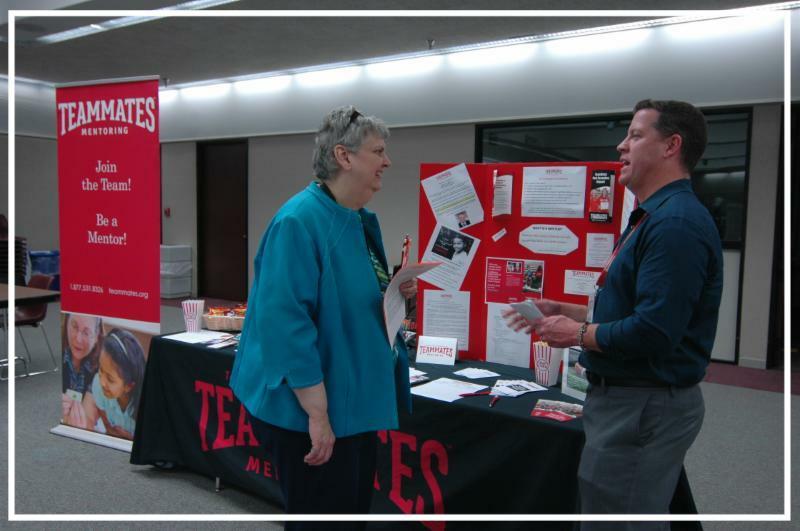 In addition to taking numerous classes and workshops, she has served as a leader and advocate for the Nebraska High School Theater Academy and the Nebraska State Thespian Festival. 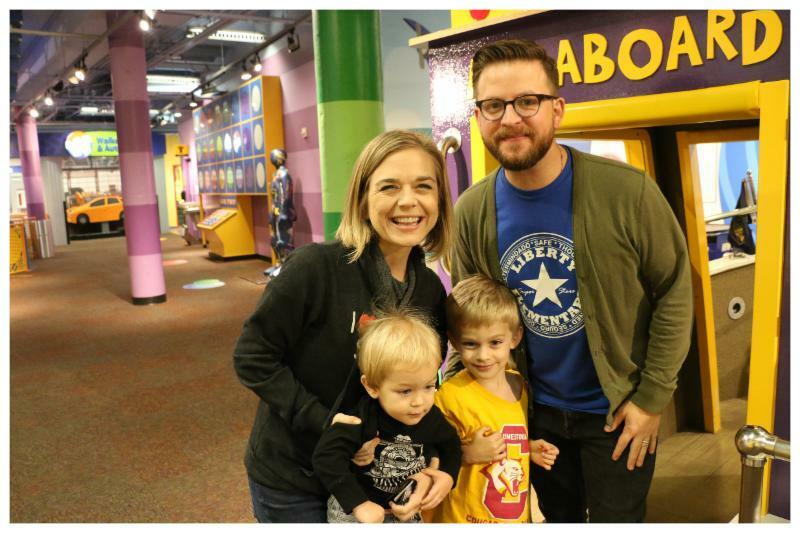 The award acknowledges the efforts of local teachers and advocates who support programs relating to Broadway or Touring Broadway shows, promoting further development of theater education. 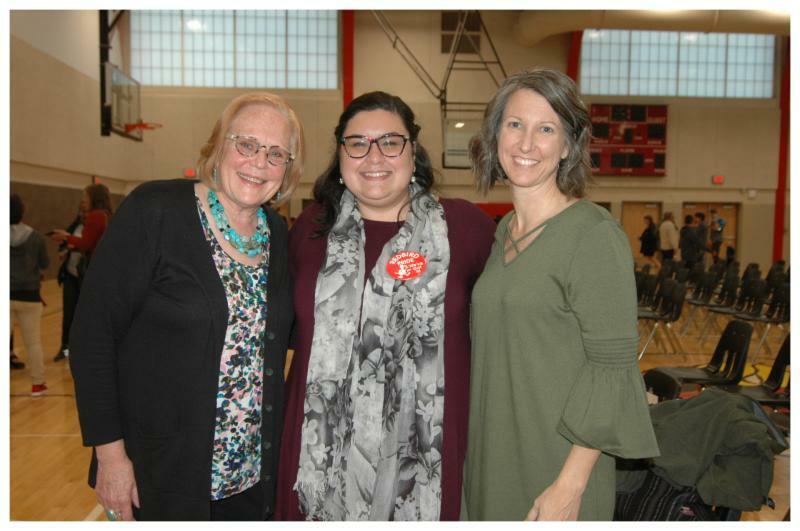 Pictured from left to right: Rachel Reiner of The Broadway League, Emily Mokrycki and Omaha Performing Arts President Joan Squires. 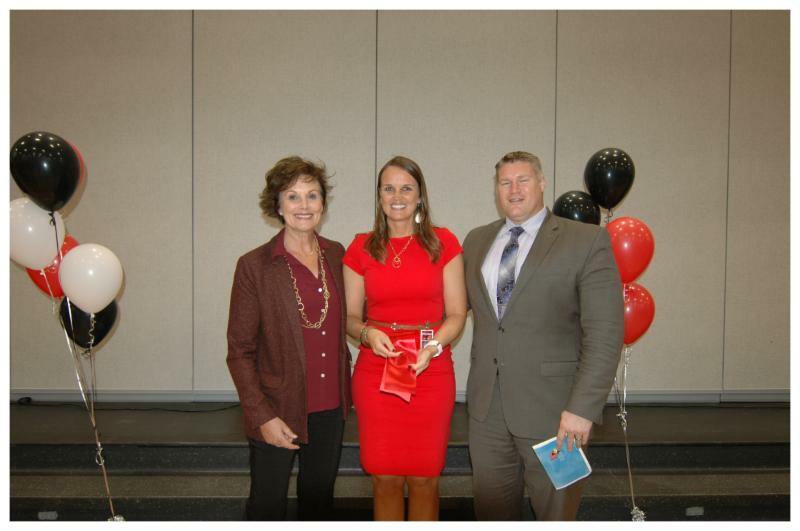 …to Crestridge Magnet Elementary counselor Heather Rowland, who was awarded the Nebraska School Psychologists Association’s Service to Children Award. This award is presented to those individuals outside the profession of school psychology whose efforts and activities have made a substantial contribution to the lives of children. …to Indian Hill Elementary teacher Melissa Szatko, who is a state finalist in the Presidential Award for Excellence in Mathematics. The Presidential Award for Excellence in Mathematics and Science Teaching is the highest recognition a kindergarten through twelfth grade mathematics or science teacher may receive for outstanding teaching in the United States. PAEMST selects up to six finalists at the state level each year. 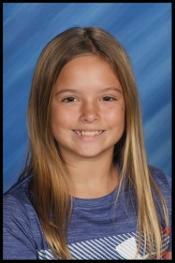 …to Alice Buffett Magnet Middle School student-athlete Maycee Peacher for being nominated Youth Female Athlete of the Year by the 2018 National Congress of State Games. 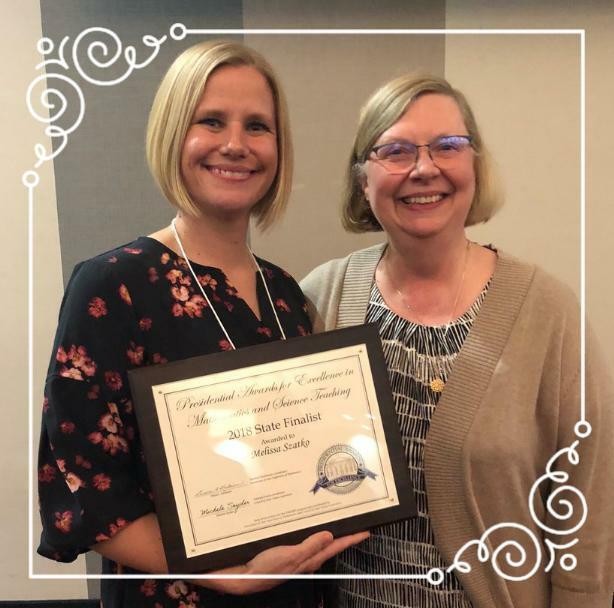 Peacher received her award during a national symposium in Kentucky on Oct. 3. 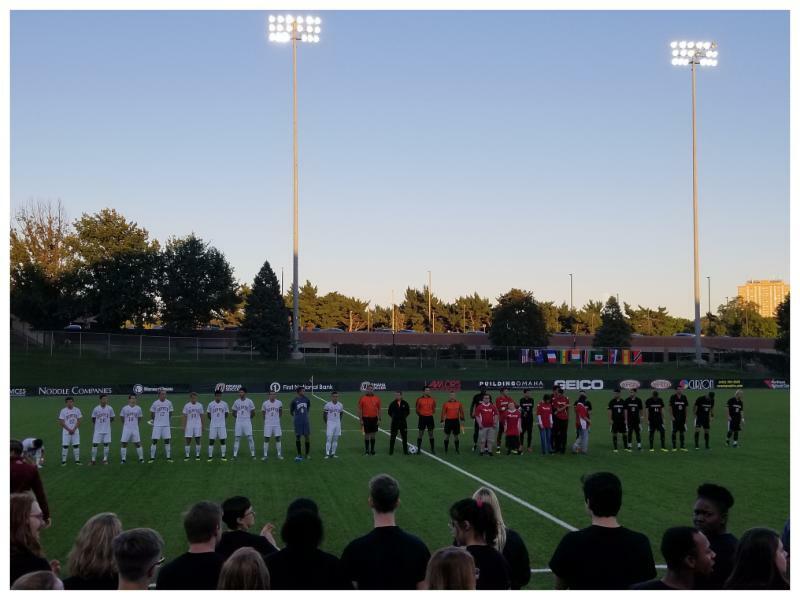 The National Congress of State Games is a membership organization comprised of 30 Summer State Games and 10 Winter State Games organizations and a member of the United States Olympic Committee’s Multi-Sport Organizational Council. 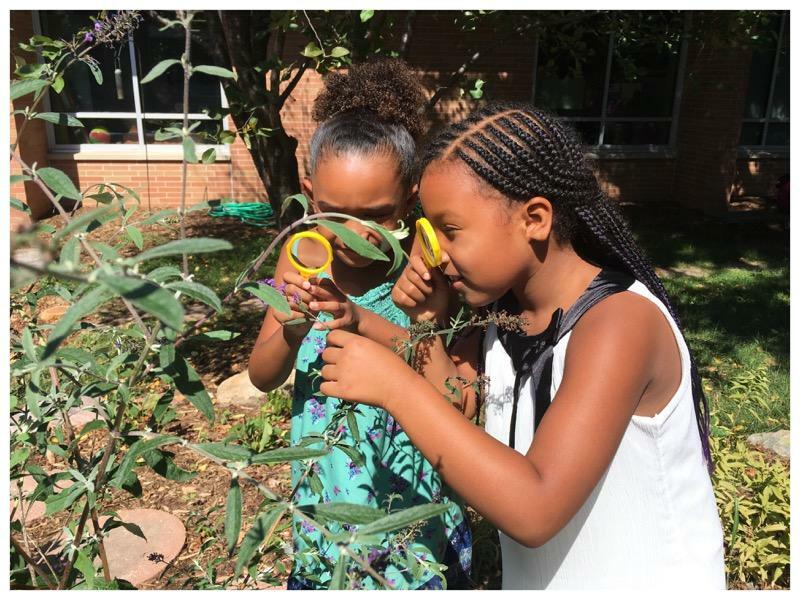 Crestridge Magnet Elementary has earned national recognition for its Certified Nature Explore Classroom from the Nature Explore Program, a division of Dimensions Educational Research Foundation. 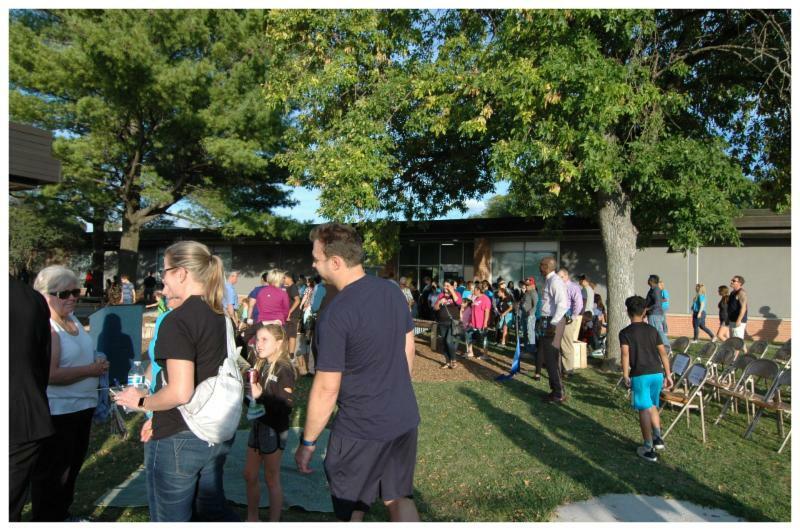 Staff, students, parents and guests dedicated the garden during open house on Sept. 24. 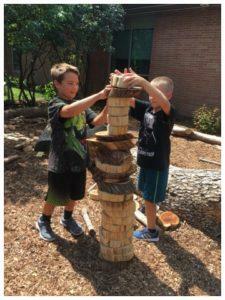 The Crestridge Nature Explore Classroom webpage details how and why the classroom was created. 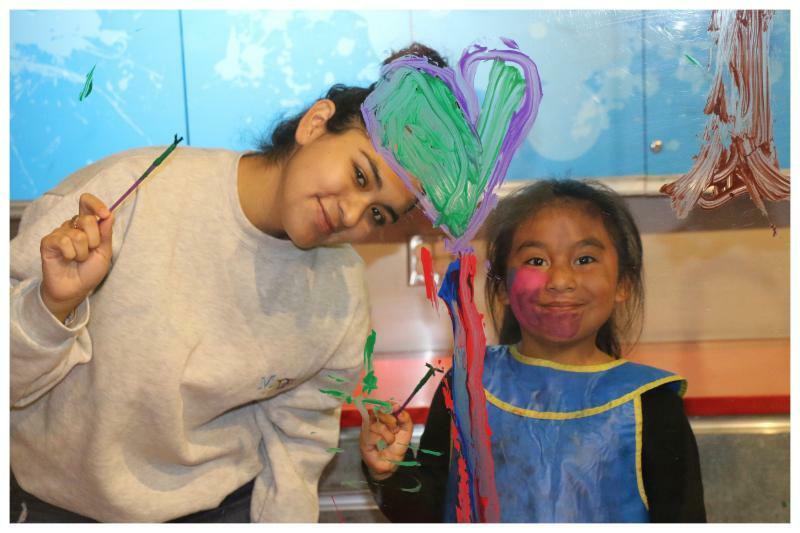 "We believe that every child should have the opportunity to thrive. 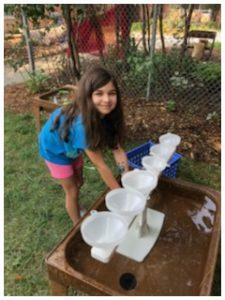 "All children benefit from positive connections with the natural world as a regular part of their healthy growth and development. Unfortunately, today's children, especially those from disadvantaged backgrounds, are spending less and less time outdoors. 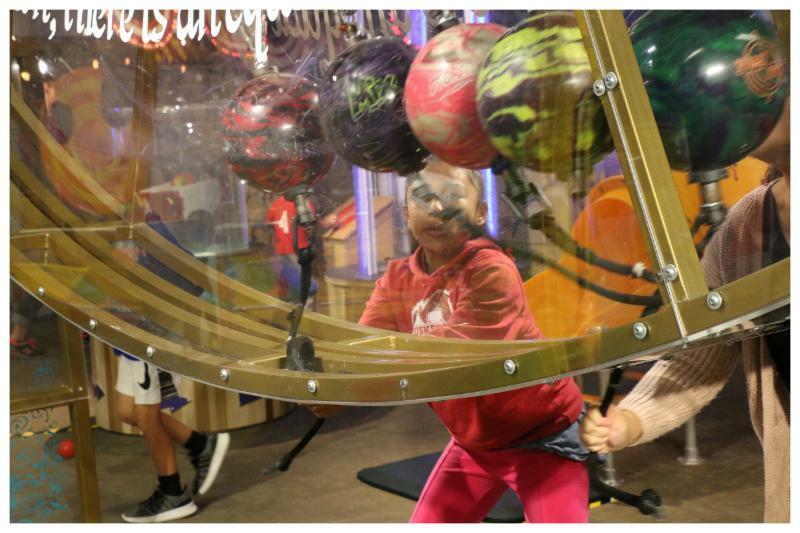 Disconnection from nature can lead to harmful effects such as childhood obesity, an increased prevalence of attention deficit issues and the development of a fear of the natural world - all problems exacerbated in our most vulnerable children. "Research shows that regular time in nature facilitates better social and physical development; improves fitness; inspires creative problem solving; reduces stress; creates empathy for nature and supports whole-child learning, including science, language and literacy, visual-spatial learning and mathematics. On hand for the celebration were Jerry Bexten of the Sherwood Foundation, Superintendent Dr. Cheryl Logan, OPS Board Member Matt Scanlan, Development Director John Rosenow of Dimensions Educational Research Foundation, OPS Executive Director of School Support Dr. Dwayne Chism, OPS Chief Operations Officer Dr. Antoinette Turnquist, Anne Houser of Kinghorn Gardens (the designer of the garden) and former principals Greg Emmel and Pat Schweer. 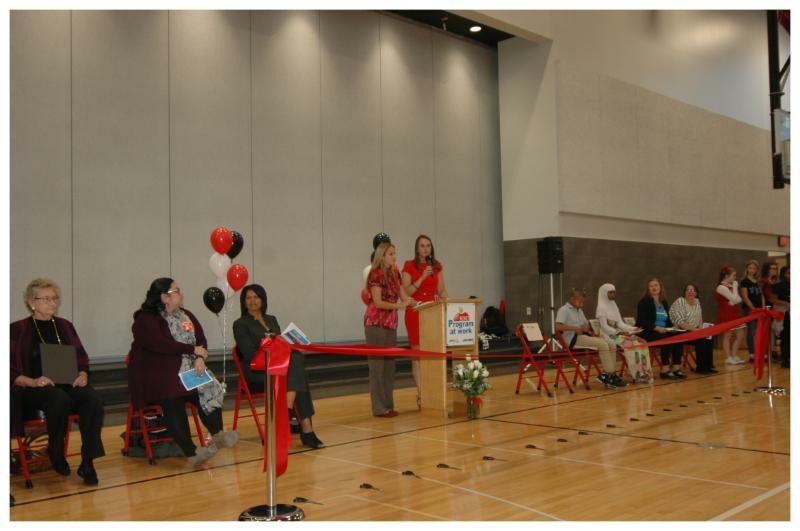 Principal Marjorie Reed-Schmid welcomes staff, students, parents, community members and guests to the ribbon cutting ceremony. The school received its official Nature Explore certificate. Seen left to right are Superintendent Dr. Cheryl Logan, teacher Kristen LaMontia, Principal Margie Reed-Schmid, John Rosenow of Dimensions Educational Research Foundation and Jerry Bexten of the Sherwood Foundation. 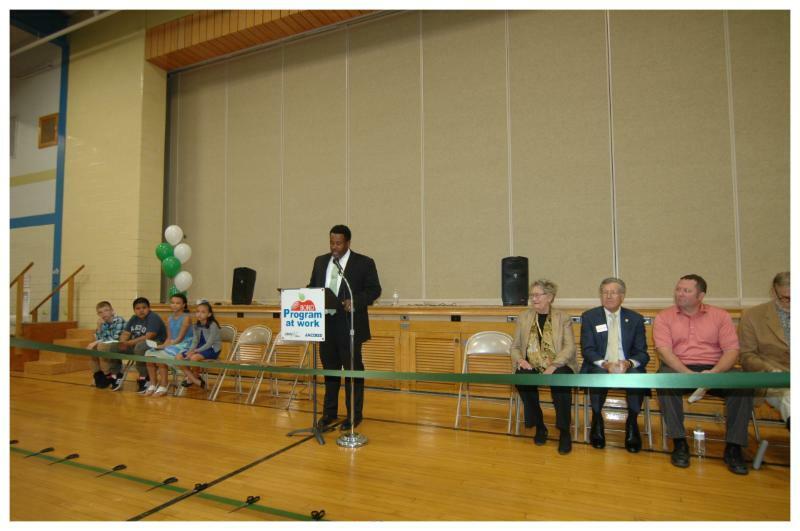 The official ribbon cutting included Board member Matt Scanlan, Superintendent Dr. Cheryl Logan, Jerry Bexten, John Rosenow, Anthony Brown, Gabriella Perez and Principal Majorie Reed-Schmid. Guests mingle and visit before walking through the garden's various activity areas and enjoy refreshments. 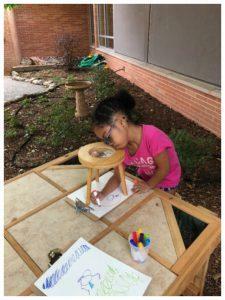 Students can be seen below actively participating during class time in the garden participating in activities that reinforce math, science, language arts, visual-spatial learning, problem solving and more. 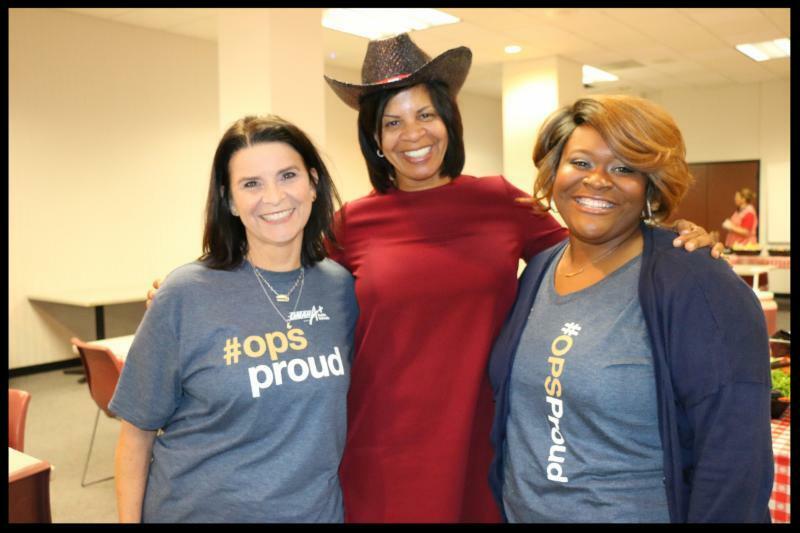 Omaha Public Schools' employees displayed their pride and enjoyed a week-long celebration of special events during the district's 2018 #OPSProud Week. 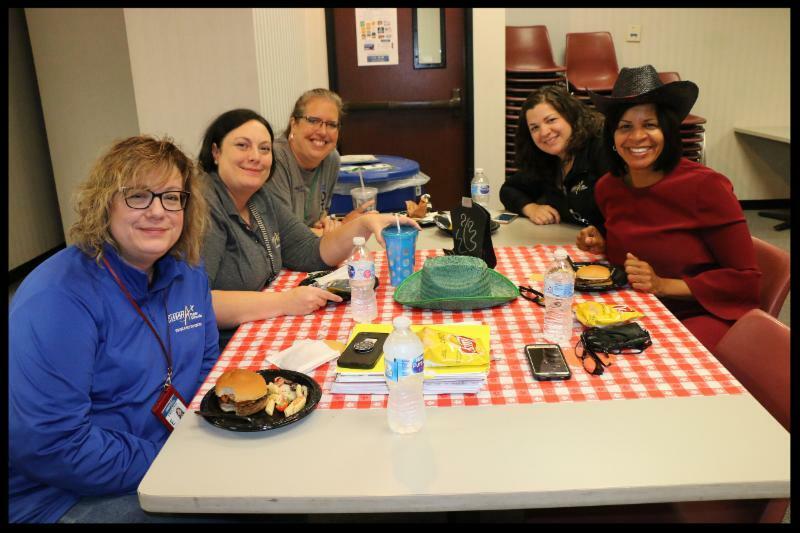 The district holds the event to show appreciation for all that employees' do for students and to recognize the district's successes. 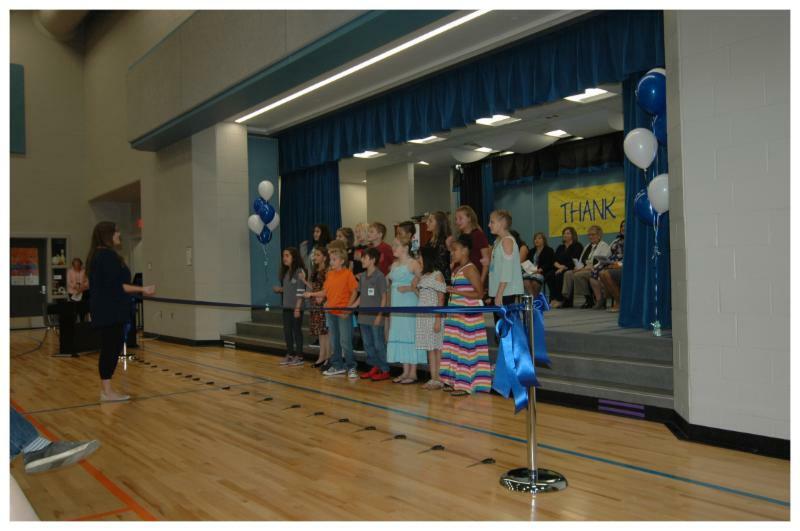 This year's celebration coincided with Omaha Education Week. 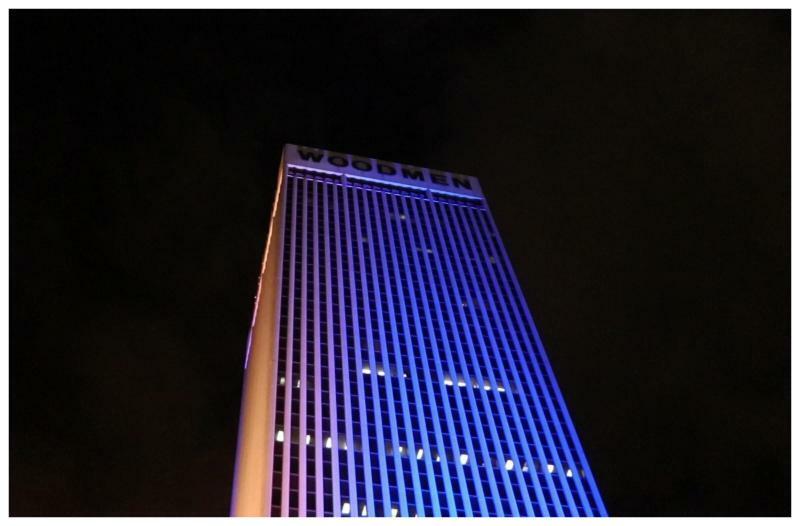 Special events included #OPS Proud TAC Night at Creighton Volleyball, #OPS Proud Night at UNO Soccer, #OPS Proud Night at the Children's Museum, OPS TAC Spirit Day and barbecue on Sept. 28 and the WoodmenLife Tower displayed blue and gold lights on Sept. 24 to show support for the Omaha Public Schools. Additionally, area businesses offered employees discounts throughout the week. Our thanks to Kala Morrissey, coordinator of marketing and visual communications and the communications committee for all of their efforts to organize the week-long celebration! 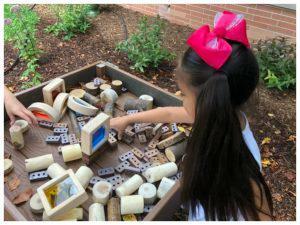 Do you remember when you started adding and subtracting, how excited you were to learn the secrets behind numbers? Are you not so into math now? This is a path many people take. When and why does math lose its power? That would be an interesting question to answer (and would involve math! ), but I am writing to you today to reignite the embers of the dying math passion inside you. 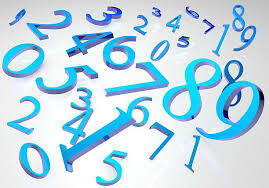 If you were asked to name one subject that encompasses every subject, would you answer mathematics? The word itself is built from a Latin word for knowledge; mathematics explores the relationships between figures, forms, and quantities. What do you know of that doesn’t have figure, form, or quantity? The answer is… math is in everything! What can math really do, and why should you be interested? Math can unlock the secrets behind population, which could lead to breakthroughs in resource management, urban planning, zoology, and conservation to name just a few things. Colorimetry is calculus; in other words, math and color can lead to breakthroughs in architecture, art, cosmetology, fashion, film, 3D imaging, virtual reality, gaming and graphic design—again, just a few things. Mathematicians will be needed to bring Michael Crichton’s Jurassic Park to reality. And Hidden Figures shows us mathematicians have been needed for space travel from before the very beginning. In fact, everything about space involves math—astronomers are mathematicians. Economics is math, and that combined with statistics can improve subjects as vast as business, retail, education, government, politics, and technology. Keep in mind, no matter where you are on your math journey, that math gets complicated, but so can life. If you can use the steps to solve complex math problems, you can figure out the steps to solve complex life problems. Don't let anybody, not even yourself, tell you that you can't understand math or that it isn't relevant. You can solve any problem if you identify the steps. Taking time to study math is taking time to hone skills in patience, practice, problem solving, and overcoming failure—because you will make mistakes, everybody does in math and life. Math teaches you a mistake doesn’t mean you will never find the answer; it just means - try again. 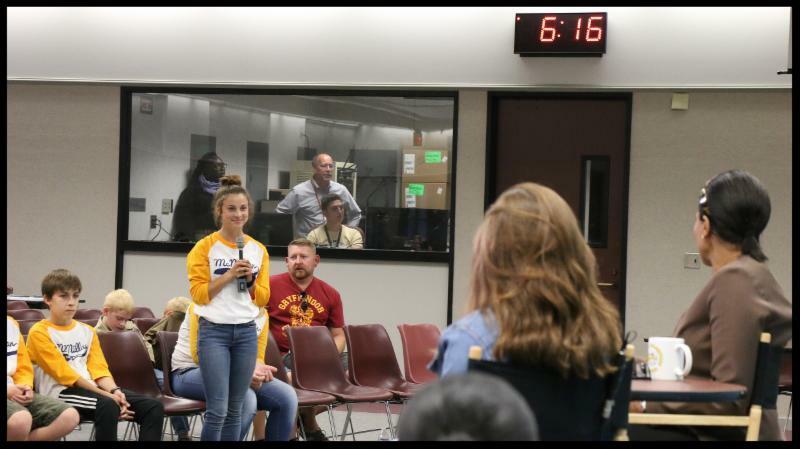 Omaha Public Schools’ Superintendent Dr. Logan held her first town hall meeting with OPS middle and high school students on Thursday, Sept. 6 at the Teacher and Administration Center. 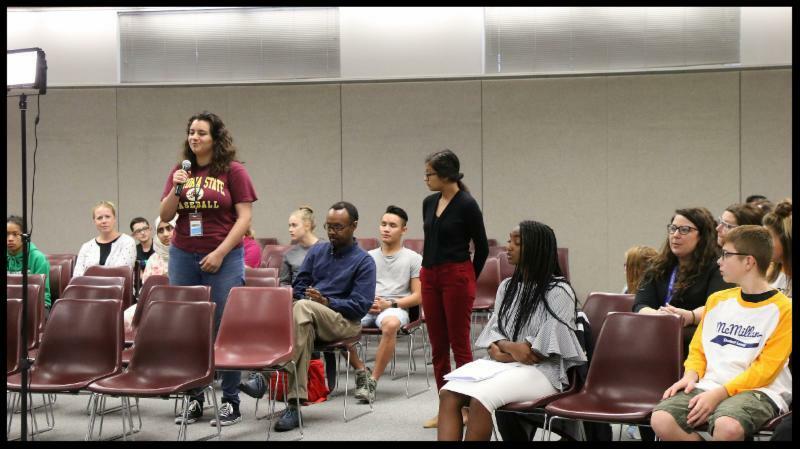 The meeting aimed to provide students with a forum to share thoughts about their current experience within the district, as well as allow Dr. Logan to learn more about potential areas of opportunity for improving students’ experiences within the Omaha Public Schools. Students from across the district attended the meeting. 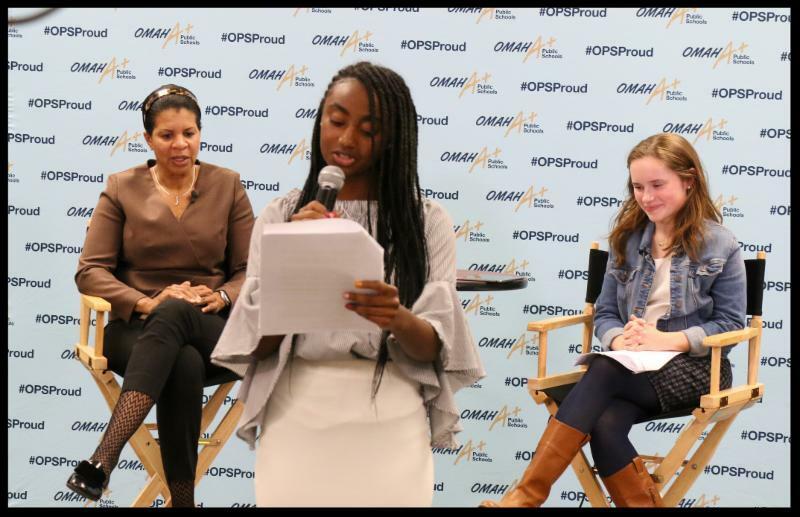 Among several topics students asked questions about, included school safety, diversity, career readiness, ACT scores, school lunches and more. The meeting was also streamed live on Cox Channel 18 and online at boardstream.ops.org . If you missed it, you can watch it by clicking here . 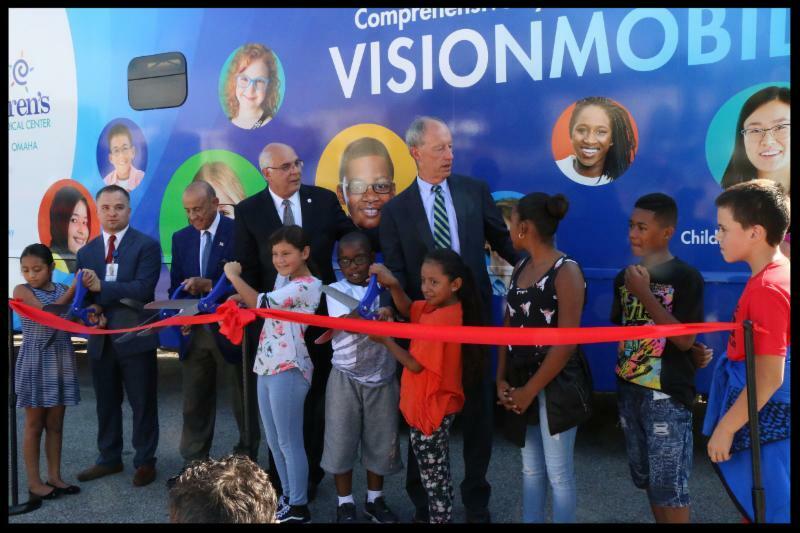 Liberty Elementary was the site of the unveiling of Children's Hospital and Medical Center's Visionmobile and ribbon cutting ceremony on Oct. 18. 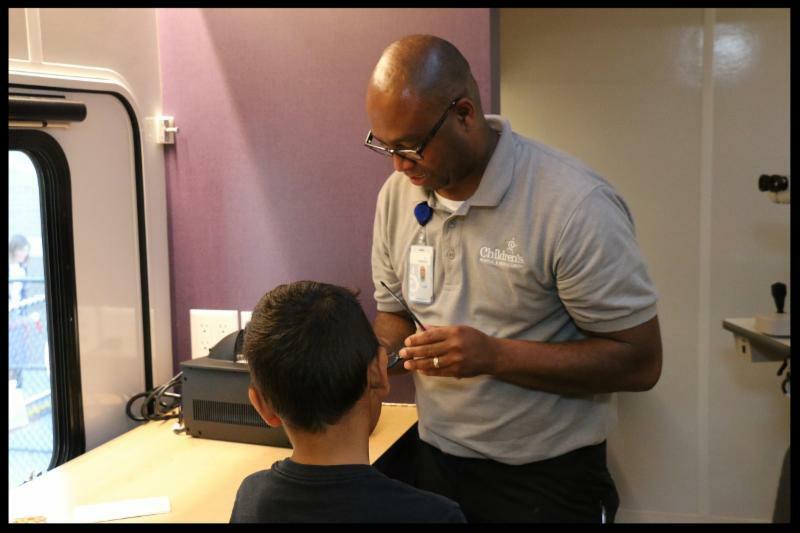 The hospital's goal is to treat 6,000 students per year at schools with a 75 percent or greater poverty rate. 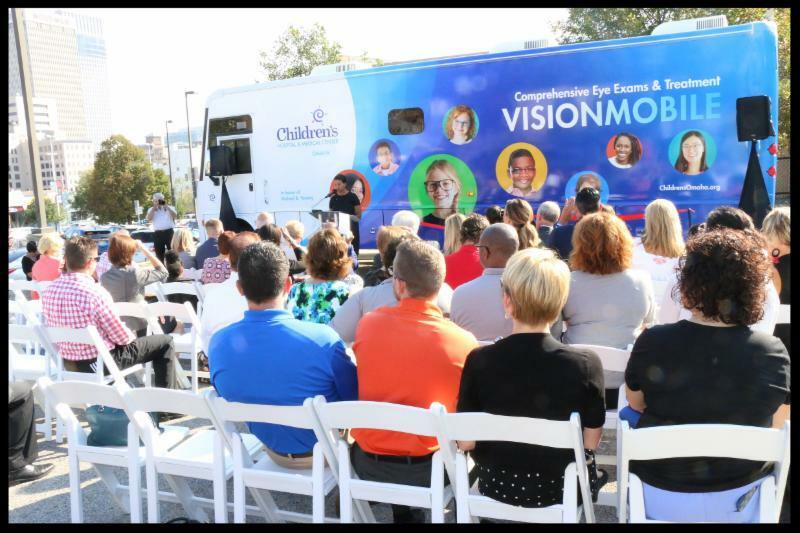 The Visionmobile was spearheaded by Building Healthy Futures and the Child Vision Collaborative. 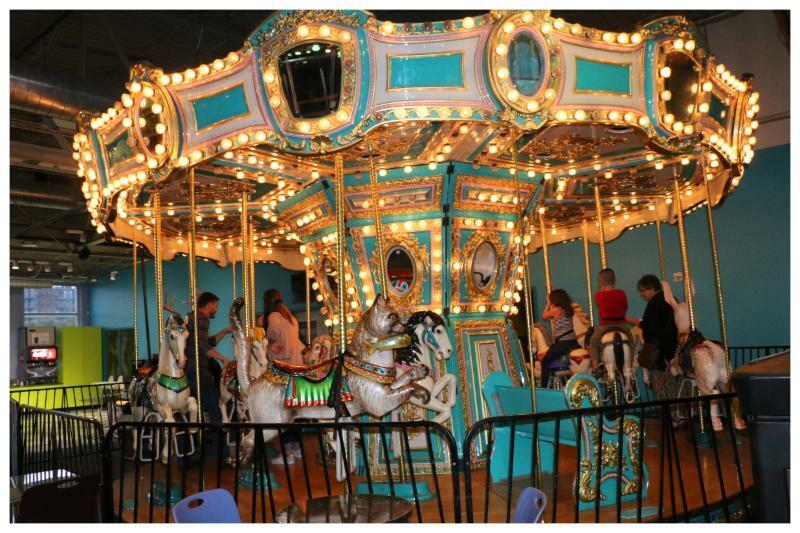 A team of more than 20 community organizations, nonprofit groups and others will help sustain it. 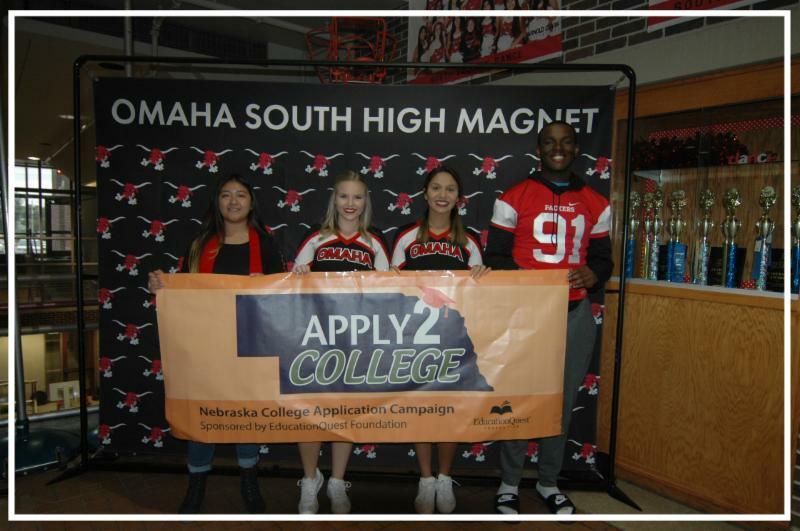 South High Magnet School students had an opportunity to attend a tailgate party where they ate lunch, played games, met college mascots, learned about college admission requirements and applied to attend college. 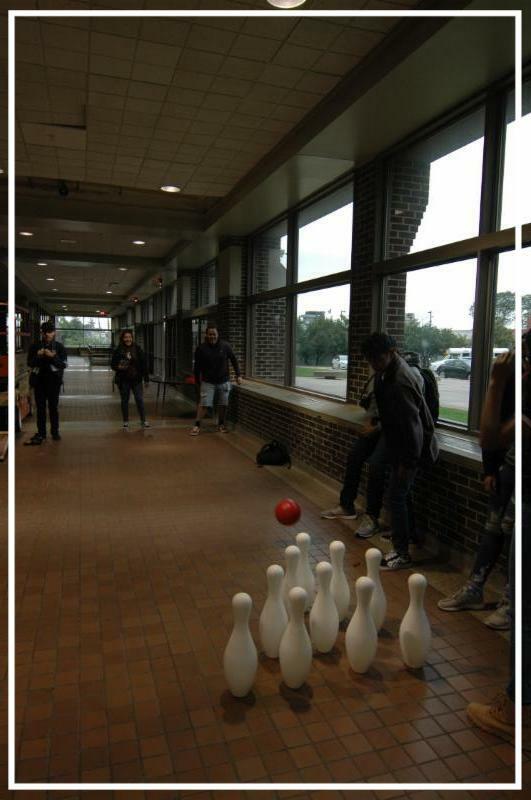 The event was held in the commons area due to inclement weather. 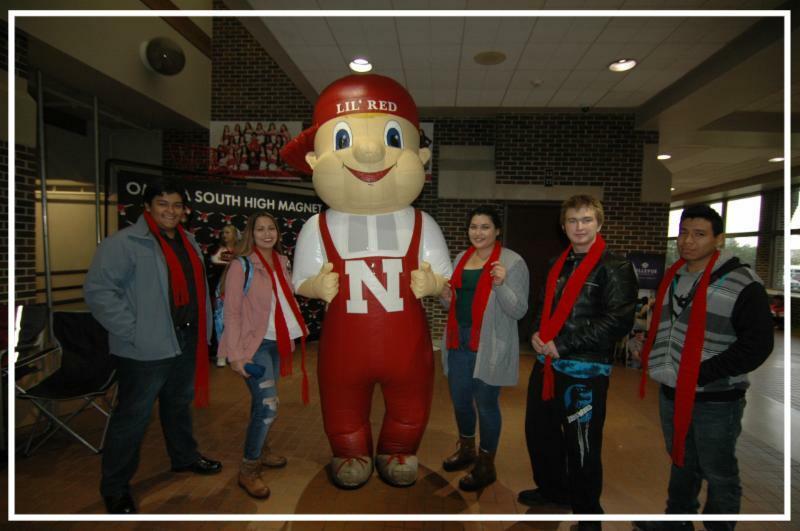 Students who filled out a college application were given a red scarf crocheted by a South alumni member. Things are rocking at South High Magnet! 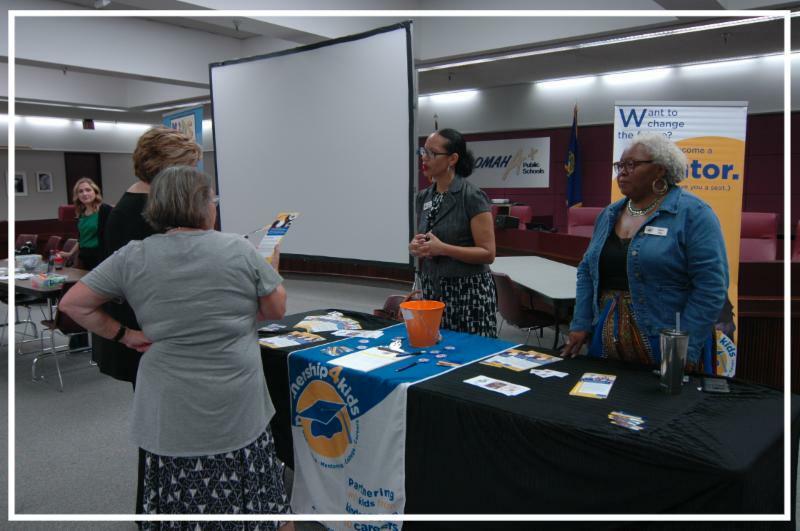 Omaha Public Schools' staff were given an opportunity to learn about mentoring programs in the Omaha area and to sign up to mentor a student during the OPS Mentoring Recruitment Fair sponsored by Student and Community Services. 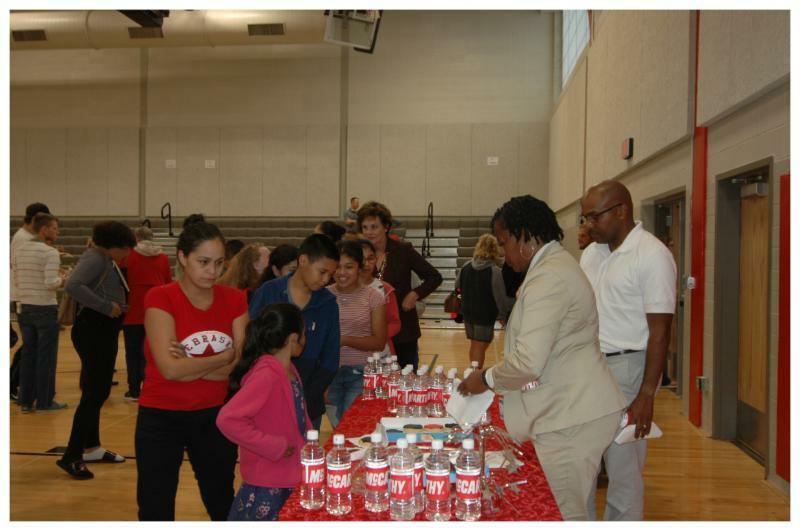 The event was held at the Teacher and Administration Center on Sept. 19. 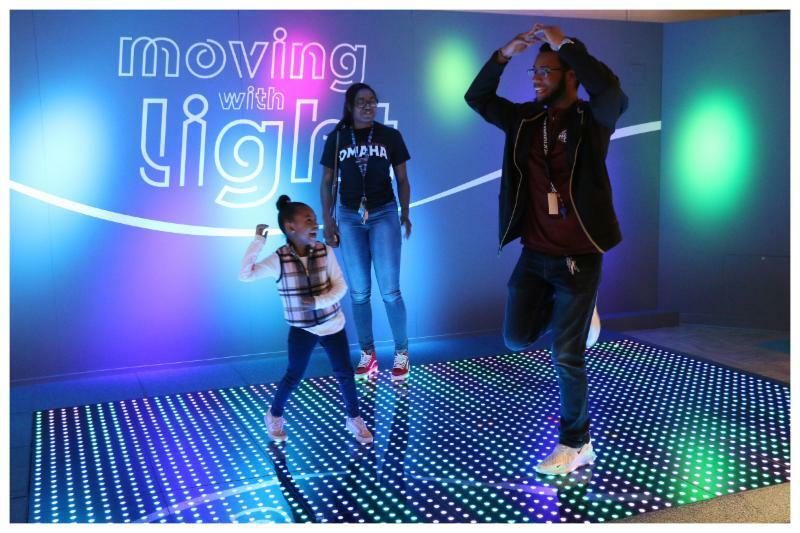 Organizations on hand for the event included Kids Can, Partnership 4 Kids, Girls Inc., TeamMates, 100 Black Men and Midlands Mentoring Partnership. Employees are allowed to mentor a student for up to two hours per month during working hours. 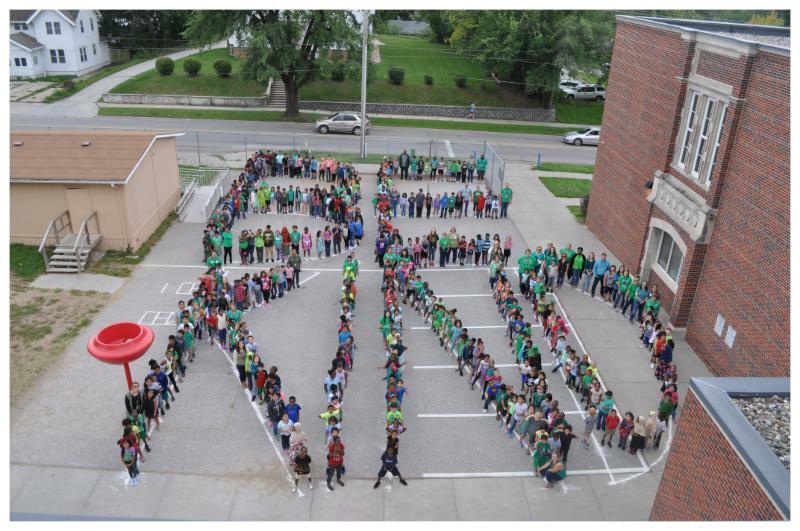 Walnut Hill Elementary showed their support for the metro's "Be Kind" initiative, which aims to eliminate bullying and make schools a safer, kinder environment in which to learn. 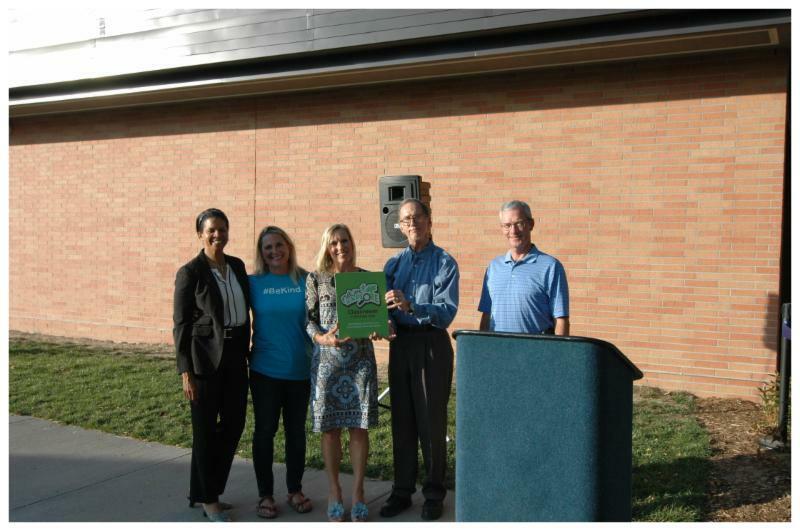 Mayor Stothert signed and declared Aug. 24 #Be Kind Day and businesses and districts throughout Omaha are participating in the initiative. 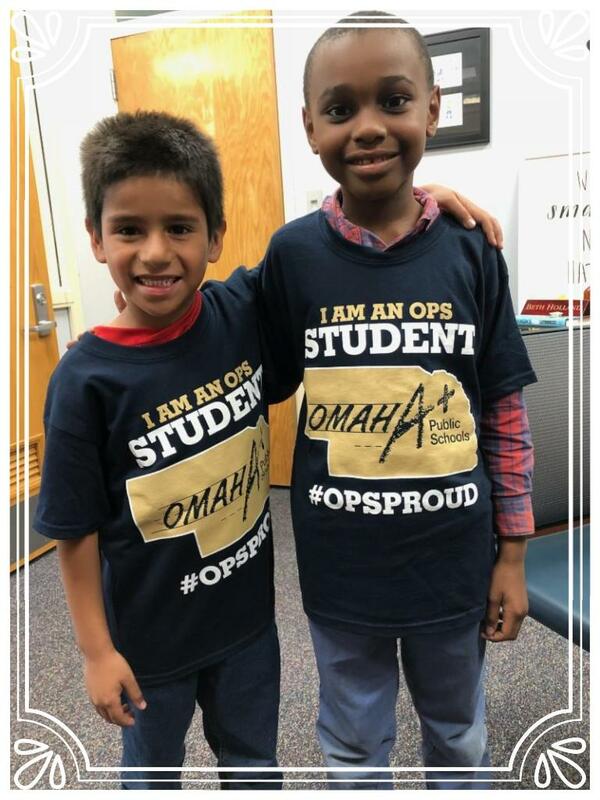 Pawnee Elementary super stars Junior Ramirez and Hamza Abdukadir received #OPSProud T-shirts from Principal Beth Holland for improving their school attendance during first quarter. Both are second graders at the school. Congratulations to both on a job well done! If you're looking for a fun, safe environment for your children to trick-or-treat, these two events are great opportunities to do so, while helping support area food pantries. 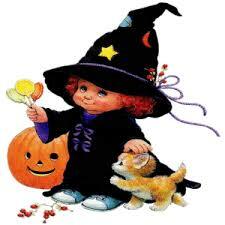 This event is for children in third grade or younger and they are encouraged to wear their costumes and bring a bag to collect goodies in - parents must accompany their child. 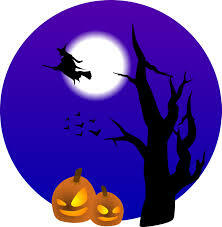 Food items will be donated to local food pantries. 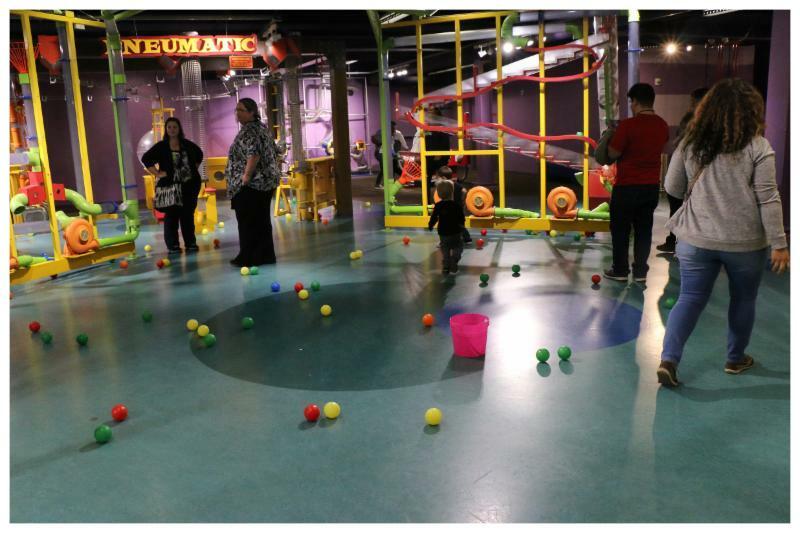 Admission is $1 or one non-perishable food item per person. 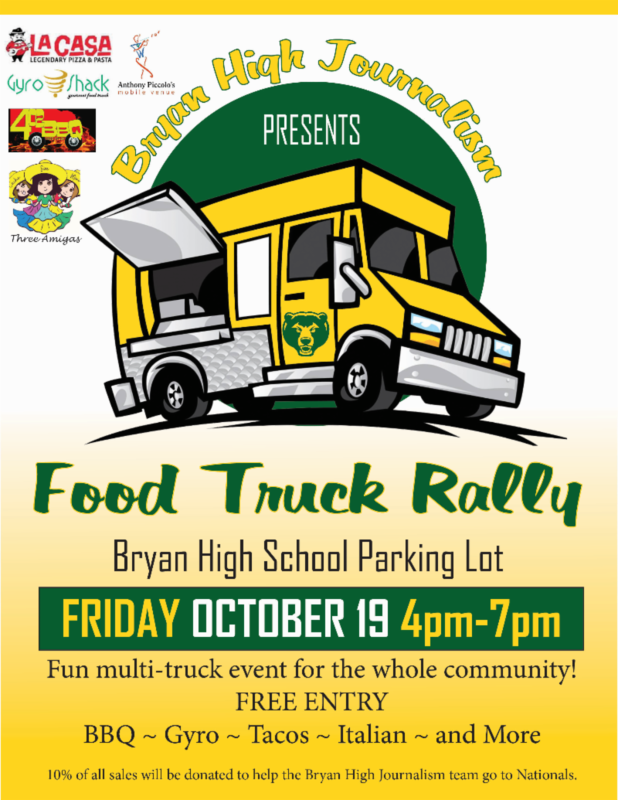 Proceeds go to help stock the Northwest High Magnet food pantry. 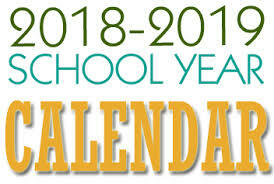 To view the full 2018-2019 calendar, please click here . 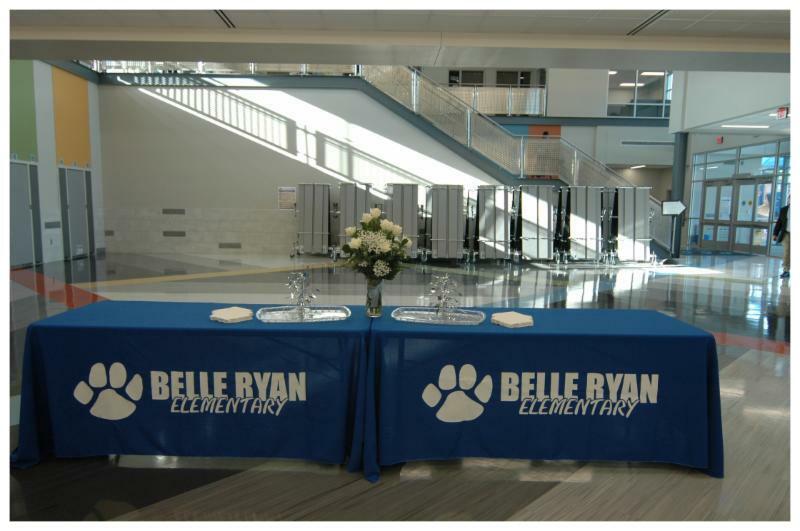 Belle Ryan Elementary celebrated the completion of its new school on Sept. 13. 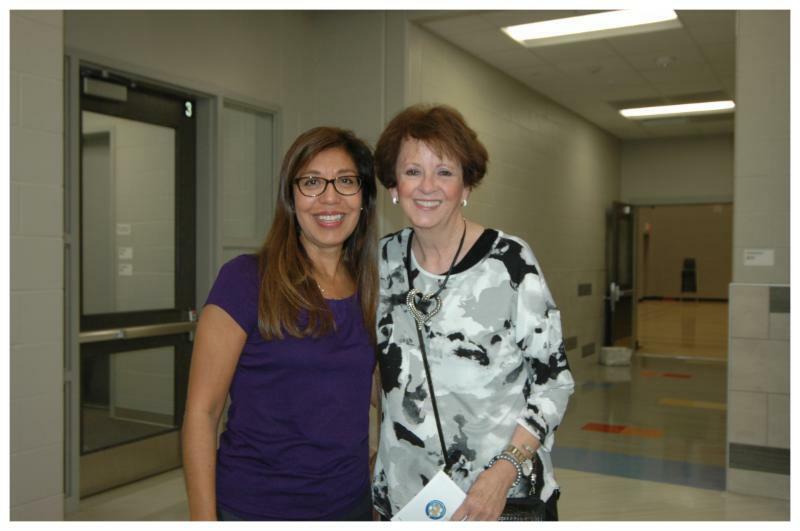 It was an evening of reflection, fond memories and eager anticipation for the new school year in a new building. Attending the festivities were Superintendent Dr. Cheryl Logan; OPS Board Member Amanda Ryan; OPS Chief Operations Officer Dr. Antoinette Turnquist; Principal Kevin Strehle and Project Designer Richard Camio of BCDM Architects; President David Cavlovic and Project Manager Faron Riley of Sampson Construction; Program Manager Mark Sommer and Construction Manager Adam Sawyer of Jacobs Engineering Group Inc., staff, students, parents, community members and numerous OPS administrators. 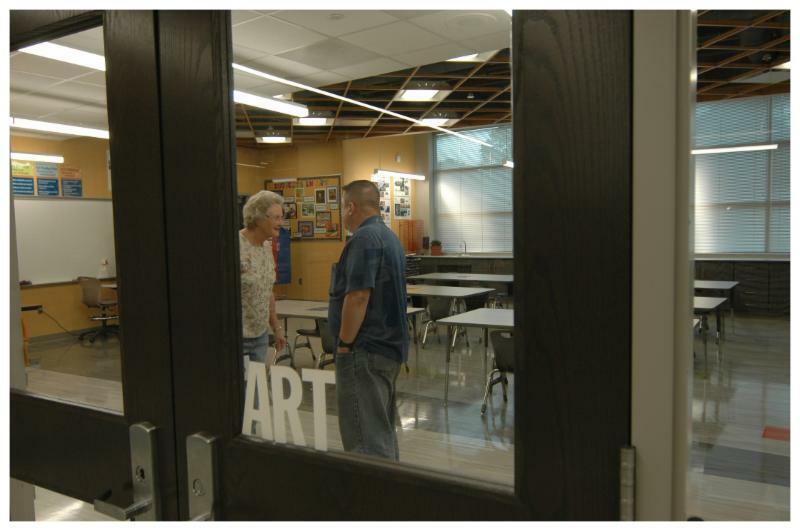 "We are fortunate to have this new facility and we wish to thank the Omaha voters for supporting not just one, but two bond issues," said Principal Charla Johnson. 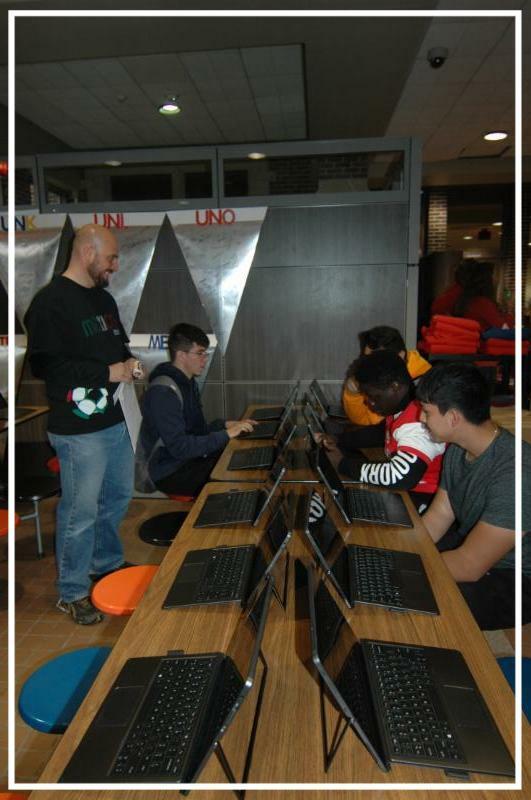 "We are fortunate to live in a community that values education and providing every student with equal opportunities to experience a first-class education." 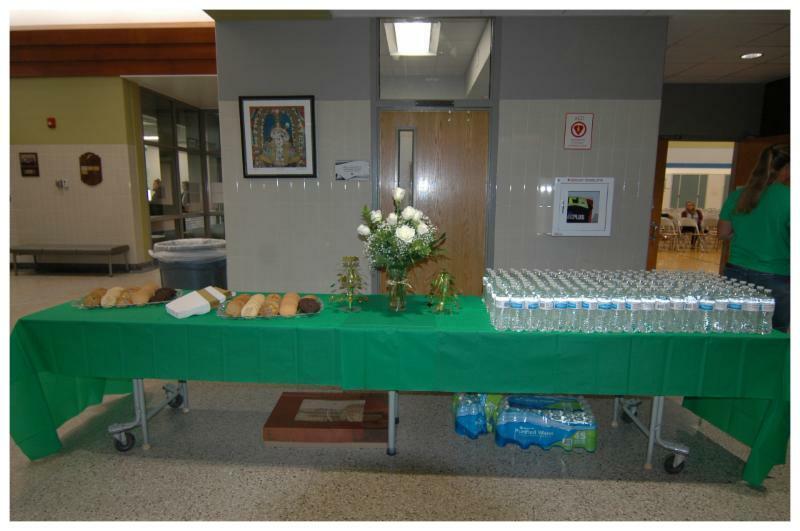 Refreshment tables were set up in the school's new cafeteria. 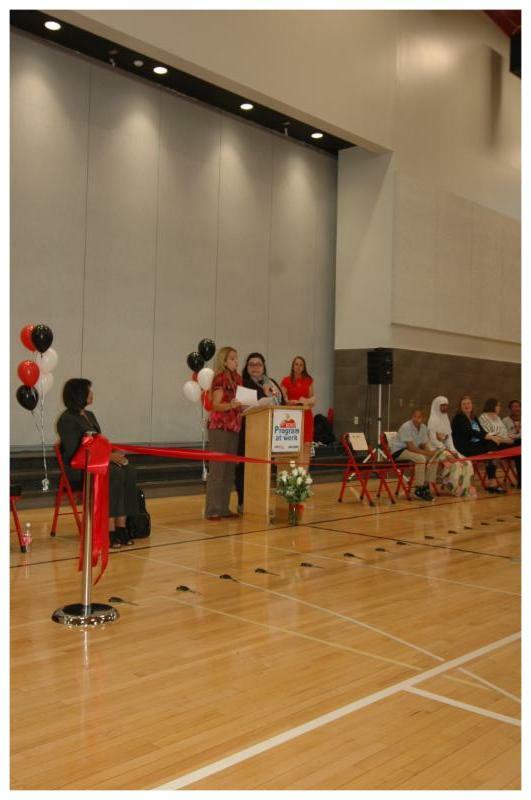 Principal Charla Johnson welcomed guests during her opening remarks. 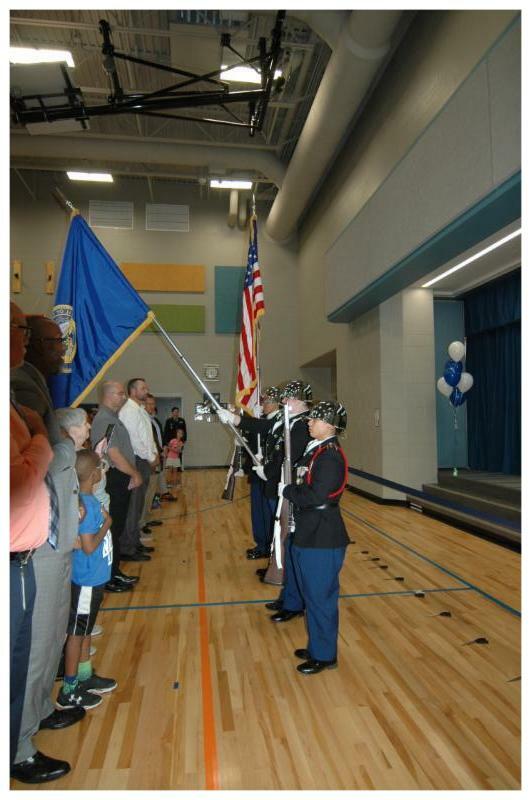 The Benson High Magnet JROTC presented the colors for the Pledge of Allegiance . Performance by Belle Ryan's band. 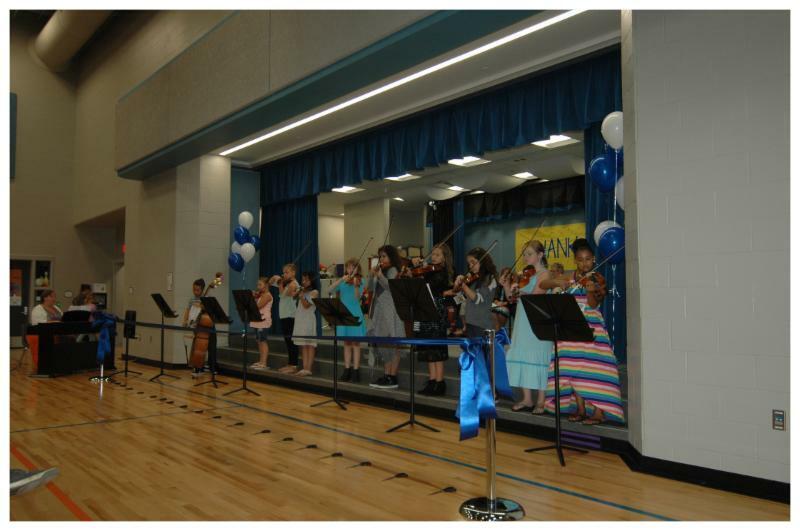 Performance by Belle Ryan string students. Belle Ryan chorus created special lyrics to the popular song "I've Got Rhythm." 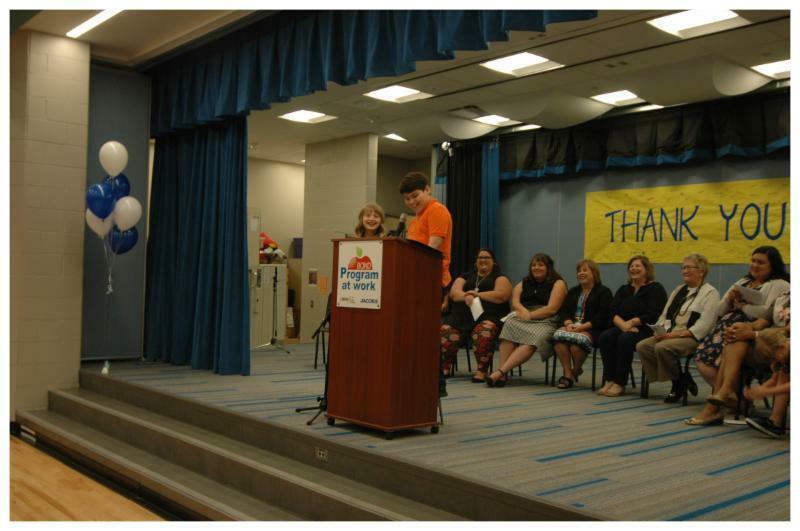 PTA representatives Angela Darrow and Kristy McLaughlin accepted the building on behalf of the community. 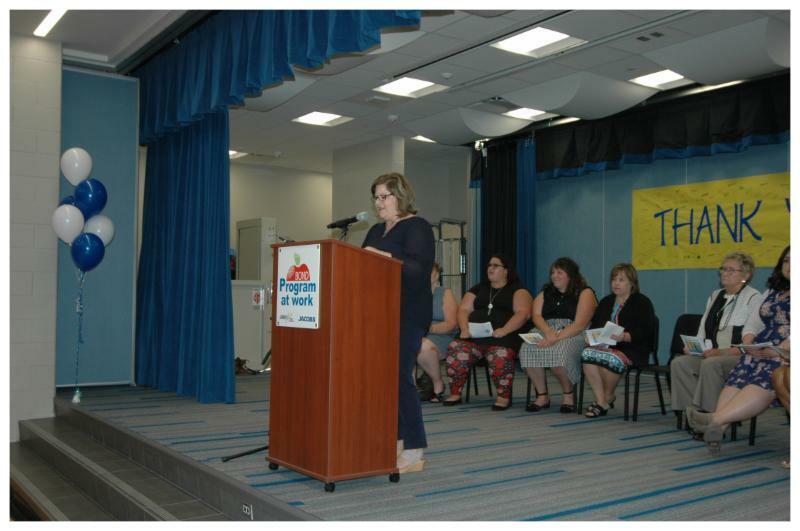 Belle Ryan teachers Deanna Ingram and Kristy McLaughlin accepted the building on behalf of the faculty and staff. Students Marco Guerrero-Mirando and Isobel O'Brien accepted the building on behalf of the student body. 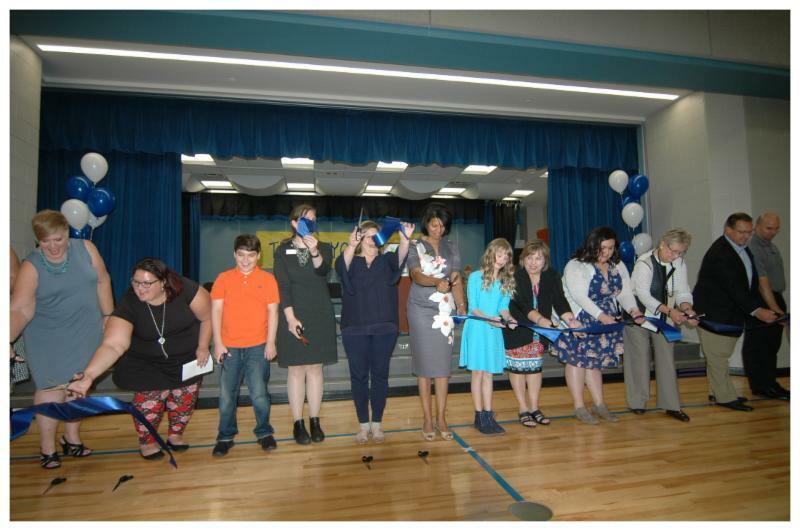 The ribbon cutting by students, staff, community members and special guests. Guests mingled and visited following the ceremony. 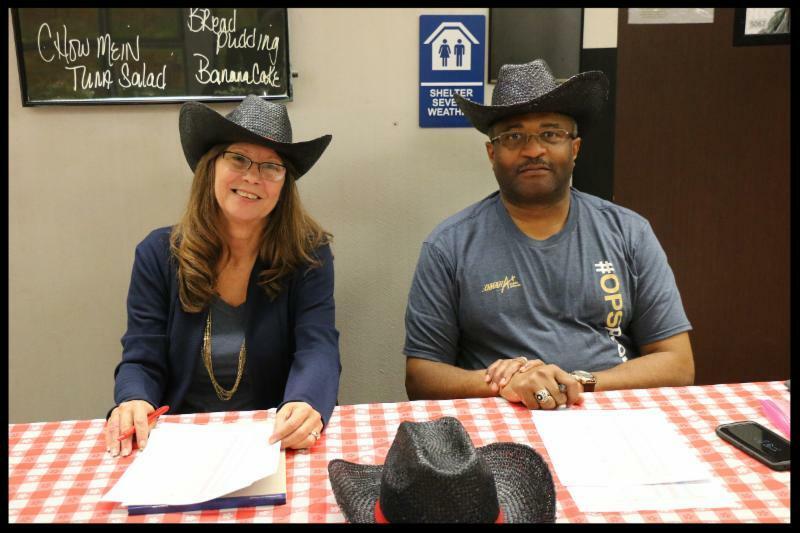 Former Belle Ryan principal Jan Martin and former staff member Tony Hernandez. 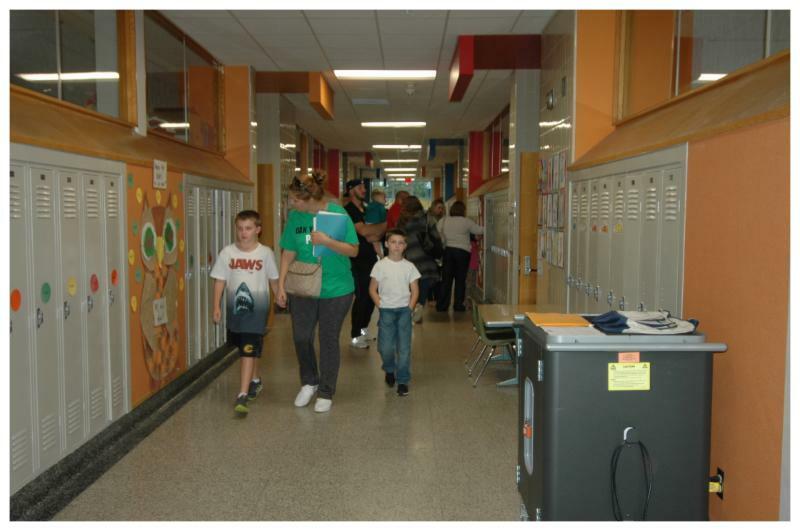 Guests navigated the new hallways to visit classrooms. The school's new art room. 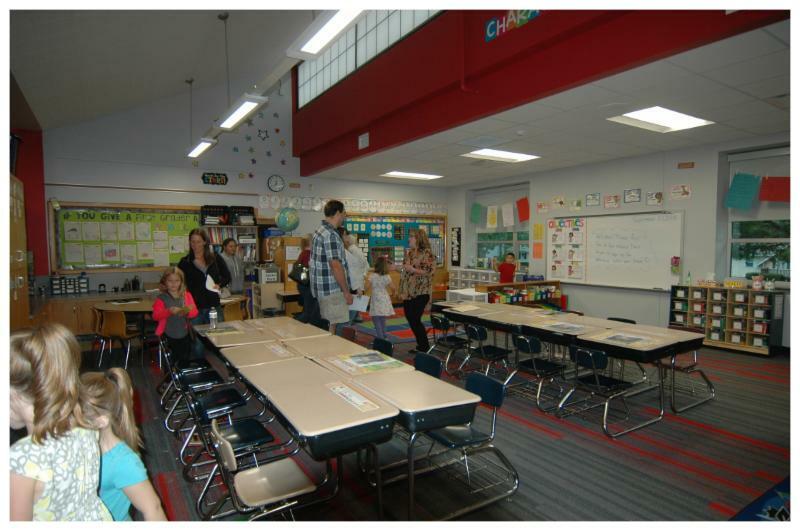 One of Belle Ryan's new classrooms. 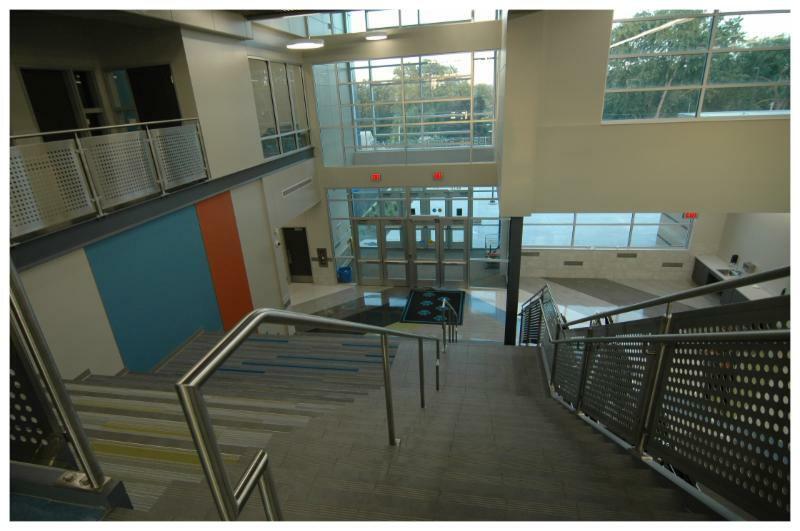 The main staircase that leads from the second floor down to the first floor. 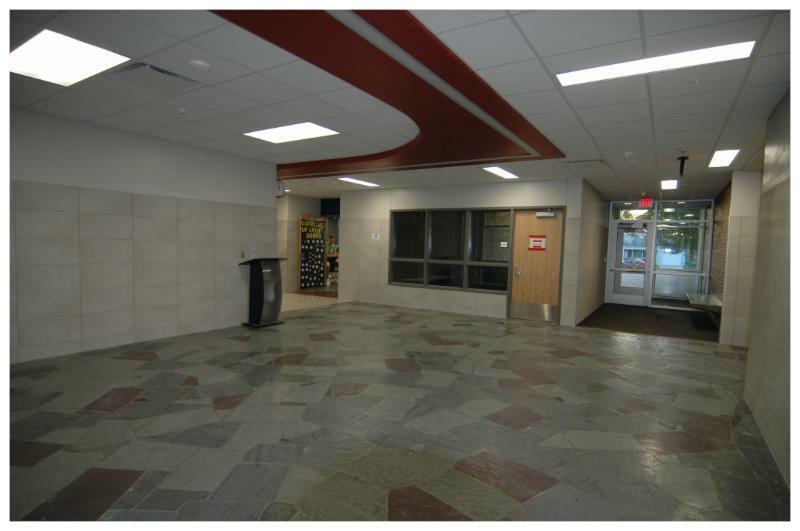 The space includes an area to the left of the staircase where classrooms can meet for special activities. 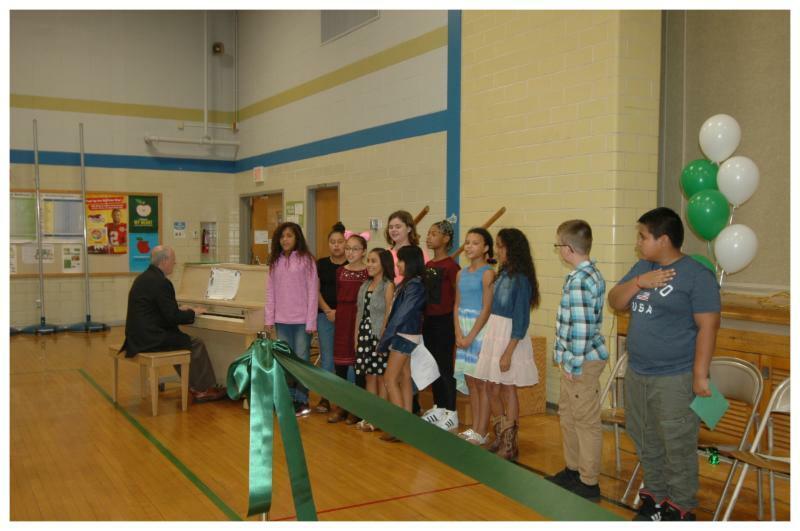 Norris Middle School celebrated the completion of its 2014 bond renovation project with a dedication/ribbon cutting ceremony on Sept. 25 during its open house. Attending the ceremony were Superintendent Dr. Cheryl Logan; OPS Board Member Ms. Amanda Ryan; OPS Chief Operations Officer Dr. Antoinette Turnquist; OPS Board Members Mrs.Tracy Casady and Mrs. LouAnn Goding; Sen. Mike McDonnell, Program Manager Mr. Mark Sommer, Construction Manager Mr. Bill Vandenberg and Project Manager Mr. Zach Crisman of Jacobs Engineering Group Inc.; Partner/Architect Mr. Thomas Zuk and Senior Associate/Architect Ms. Megan Jarosz of Holland Basham Architects; Project Director Mr. Ryan Sawall and Project Manager Mr. Daren Petersen of McCarthy Building Companies and numerous OPS administrative staff. The Norris Redbird Posse and members of Creighton's cheer squad helped rock the house during the celebration. 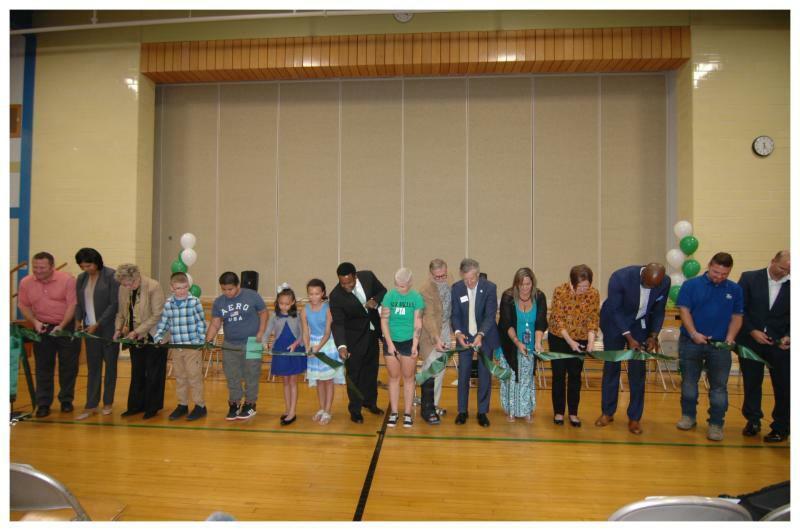 Following the ribbon cutting ceremony, parents and guests could tour the building, visit classrooms, enjoy cuisine from food trucks and collect information from community groups before leaving for the evening. 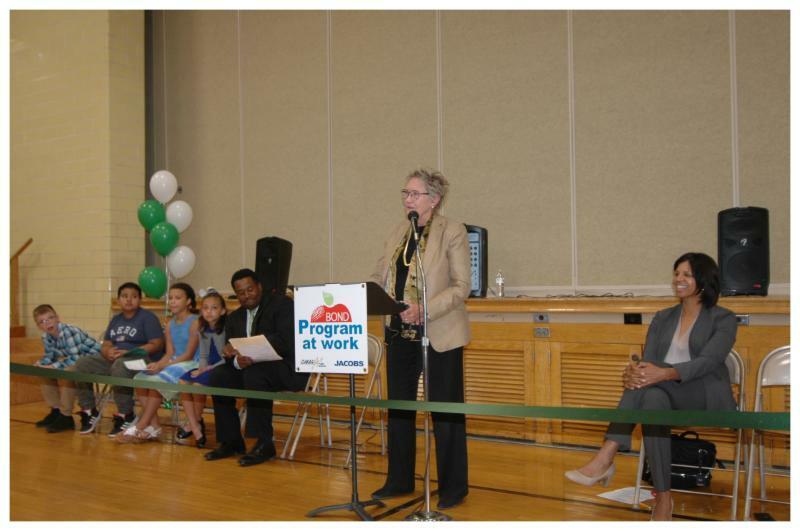 Principal Dr. Carrie Carr welcomes staff, students, parents, special guests and the community to the ceremony. 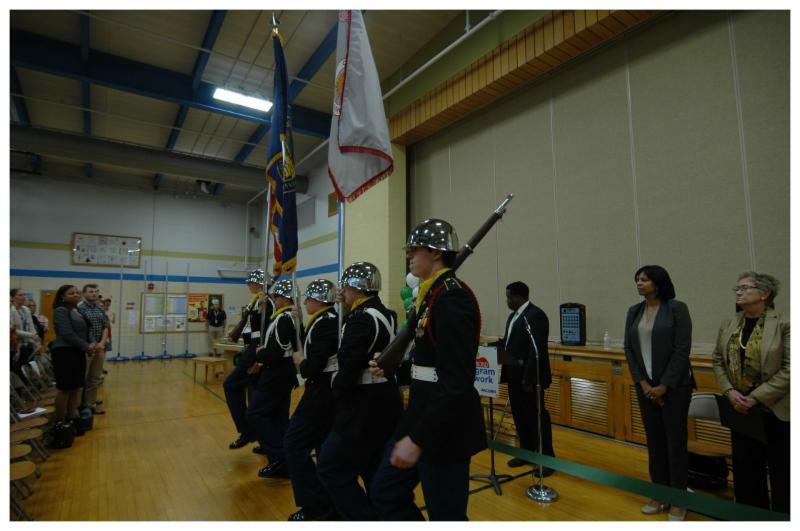 Central High School's JROTC Color Guard presented the colors. 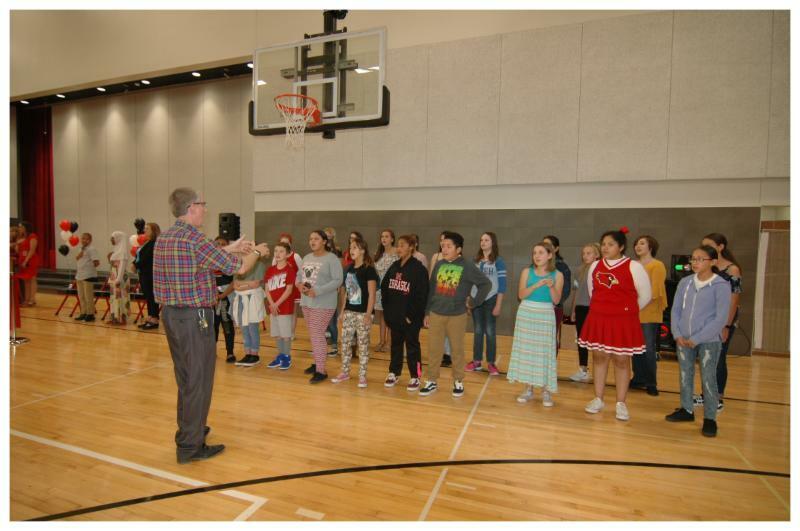 Norris vocal music instructor Gordon Russell leads the school choir in the national anthem. Special guests for the evening included (far left) Benson High Magnet Principal Tom Wagner, Dr. Carrie Carr's mother, Ann Mohr, husband Morgan Carr, former alumni Cindy and John Vendetti, the Rev. Chris Jorgensen of Hanscom Park United Methodist Church and Program Director of J.P. Lord School Laura MacHolmes. 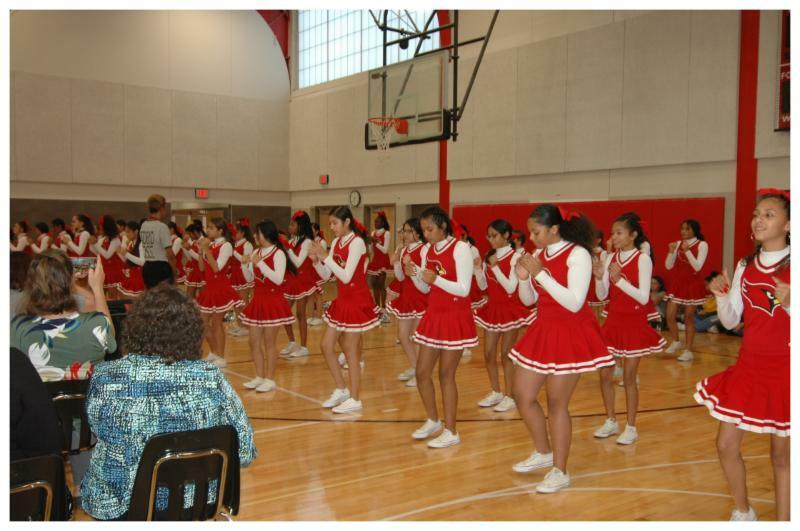 Norris Middle School's Redbird Posse performed a number of routines under the direction of Brian Walker. Members of Creighton University's cheer squad were also on hand to help celebrate. 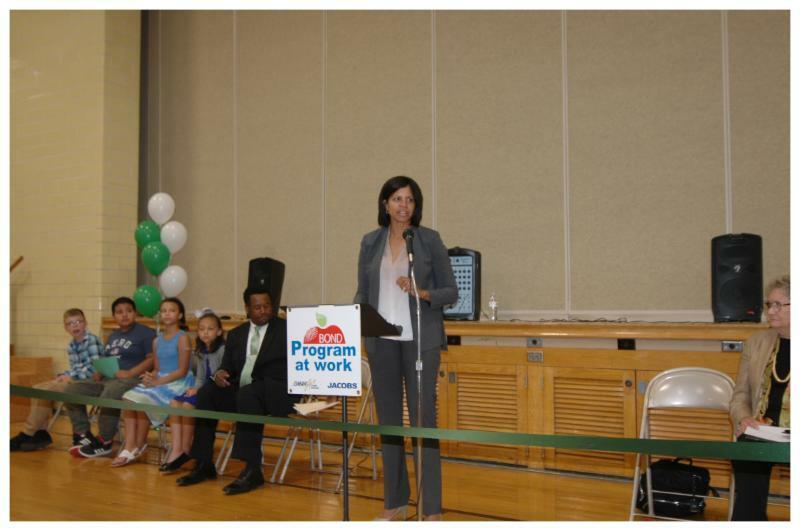 Superintendent Dr. Cheryl Logan offered congratulations during the ceremony. 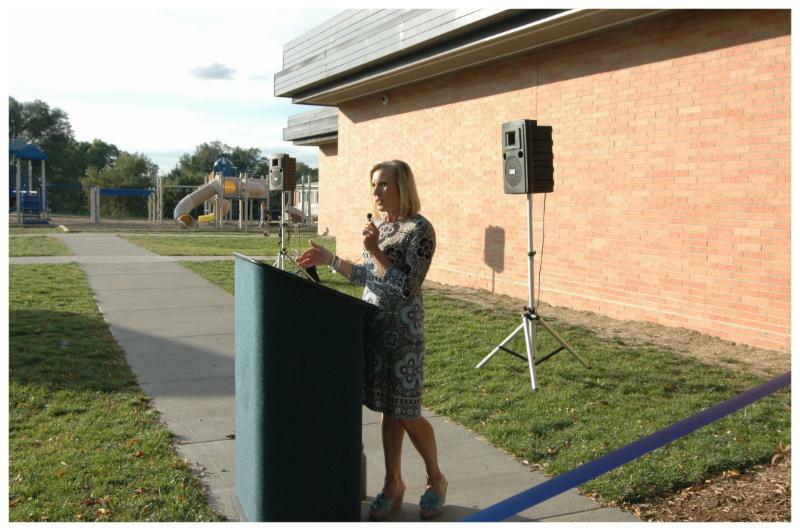 Omaha Public Schools' Board Member Amanda Ryan presented the building during the ceremony. 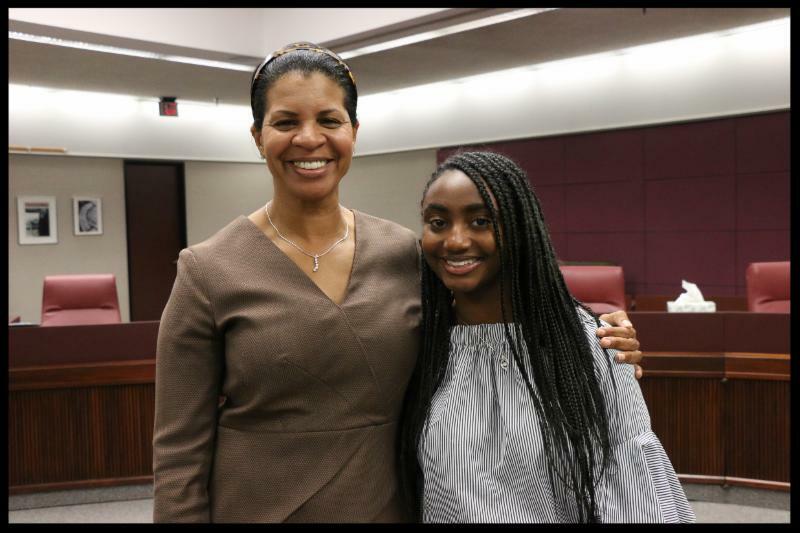 Norris Middle School students Shayen Gotto and Fatima Ibrahim accepted the builiding on behalf of the student body. 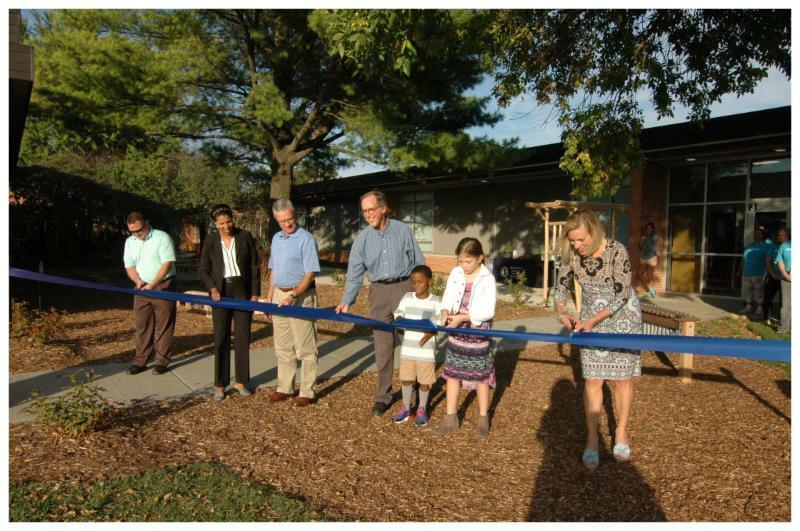 The official ribbon cutting by staff, students, community members and special guests. Dr. Carrie Carr with her mother Ann Mohr and husband Morgan Carr. 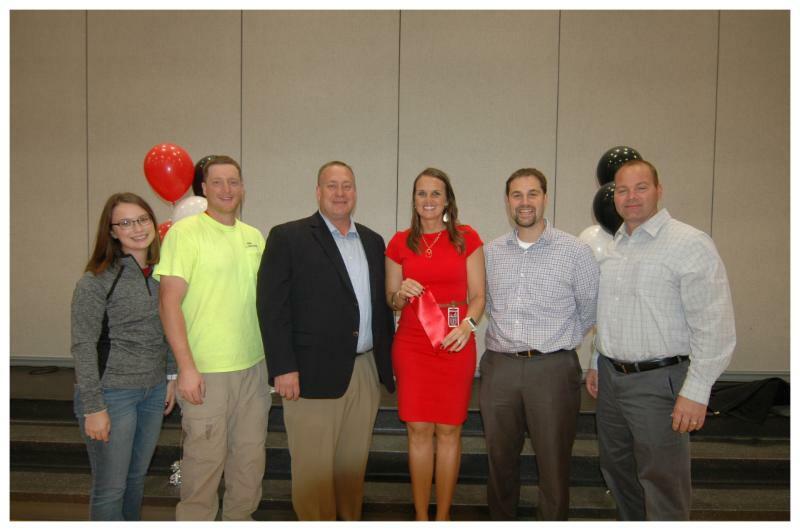 Pictured from left: Claire Andersen, Jason Sevener and Daren Petersen of McCarthy, Carr, Ryan Sawall of McCarthy and Bill Vandenberg of Jacobs Engineering Group. 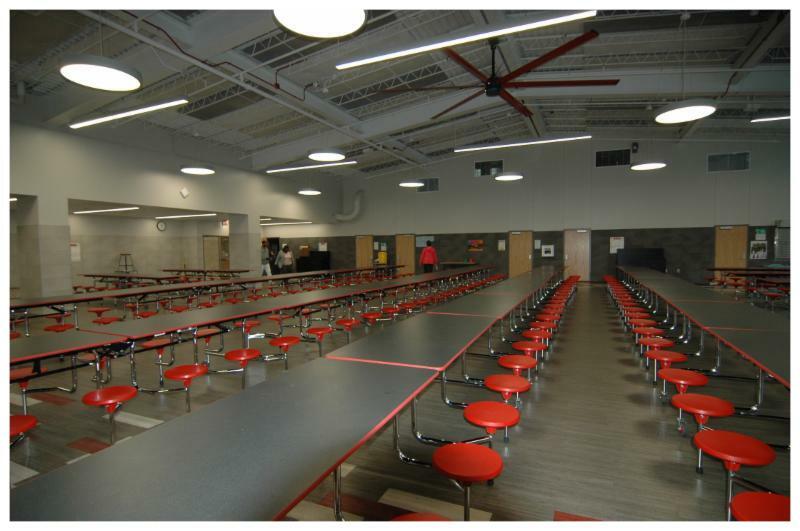 Norris Middle School's new expanded cafeteria. 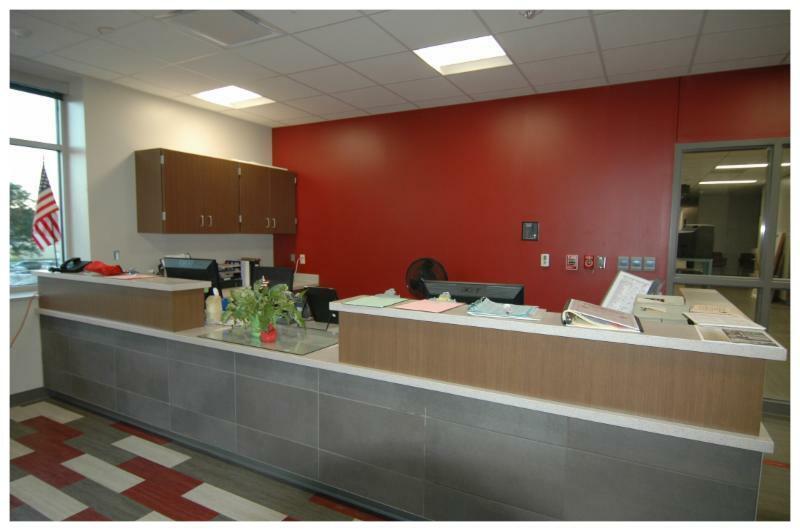 Norris Middle School's main office. 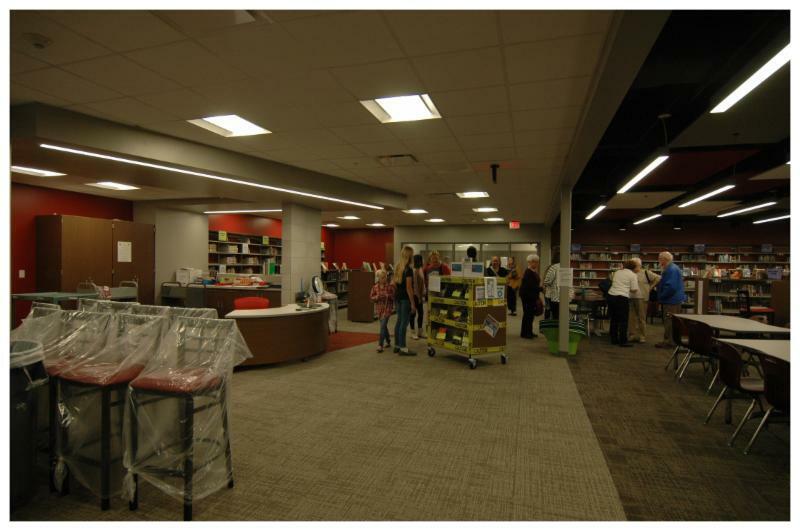 Norris Middle School's new library. Norris Middle School's old main entry that now connects the existing builiding to the new 21 classroom addition. Pictured from left: J.P. Lord Program Director Laura MacHolmes, Board Member Amanda Ryan and the Rev. Chris Jorgensen of Hanscom Park United Methodist Church. 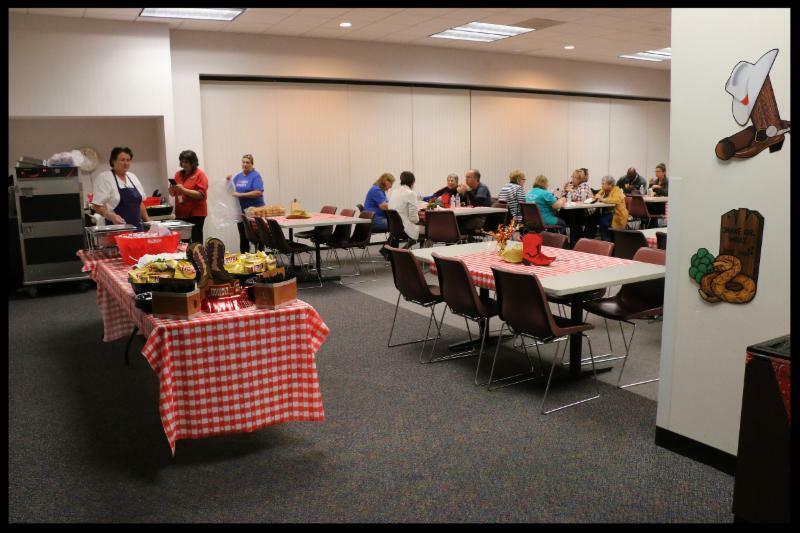 Guest enjoyed cookies and water generously provided by McCarthy Building Companies. Sen. John McCollister; Omaha City Councilman Brinker Harding; Program Manager Mark Sommer, Project Manager Steve Selting and Project Engineer Joshua Livingston of Jacobs Engineering Group Inc.; President of Kenneth Hahn Architects Kenneth Hahn; Construction Manager Lance Claussen and Project Manager Adam Sauer of Lueder Construction and numerous OPS administrators. 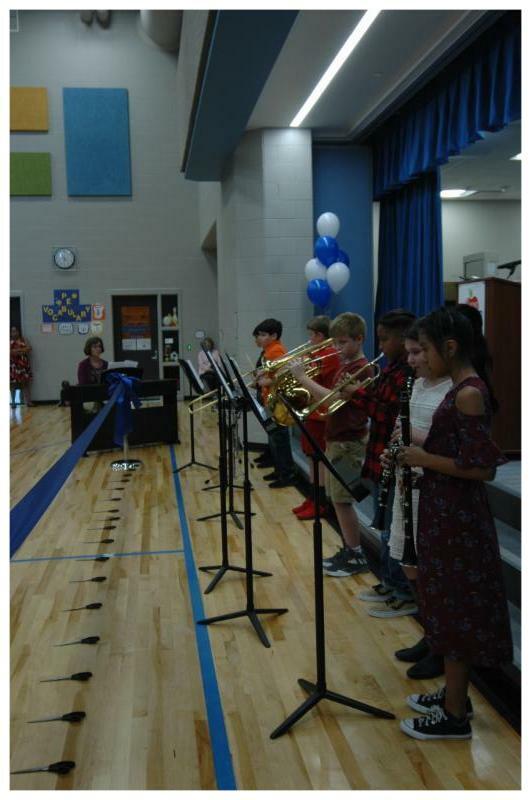 The ceremony opened with performances by the school's strings students under the direction of Ms. LeAnn Stoltenberg and opening remarks by Principal Glenn Mitchell. 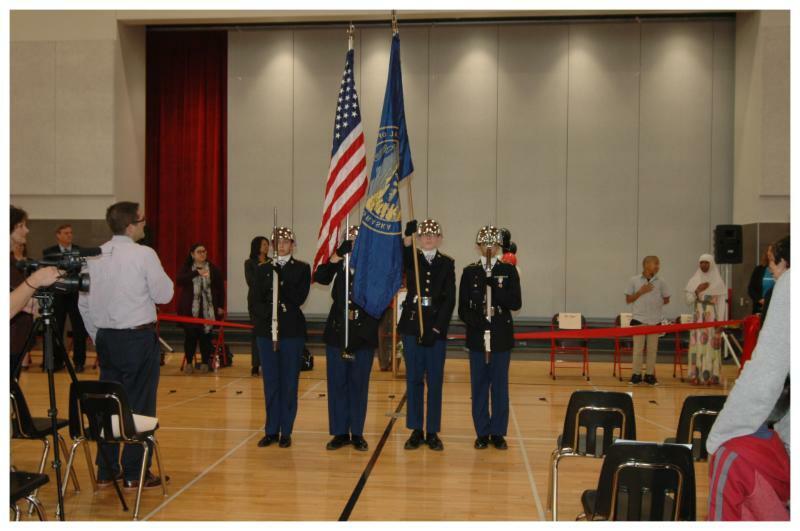 During the ceremony, the Burke High School JROTC presented the colors for the Pledge of Allegiance led by Oak Valley students Ximena Garcia-Gallardo and Blarke Hamill, followed by vocal music selections provided by the school's chorus under the direction of Michael Geraghty. 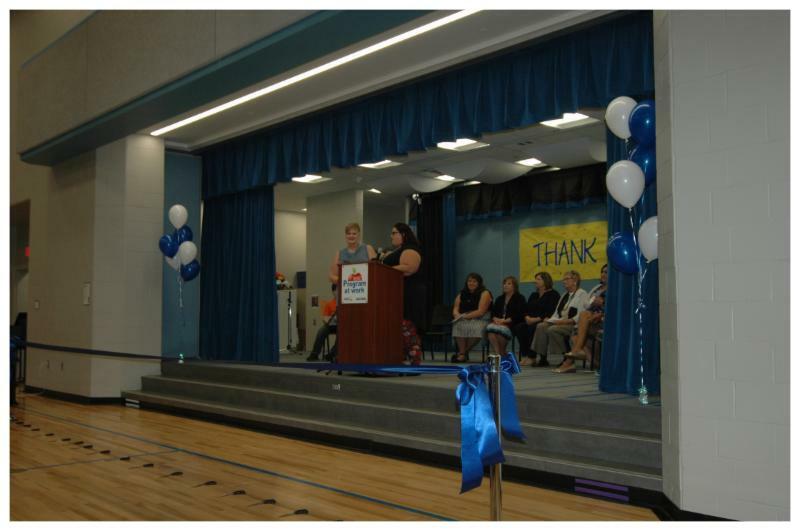 Logan, Scanlan and Turnquist each offered their congratulations and best wishes to staff, students, parents and the community prior to the official ribbon cutting. 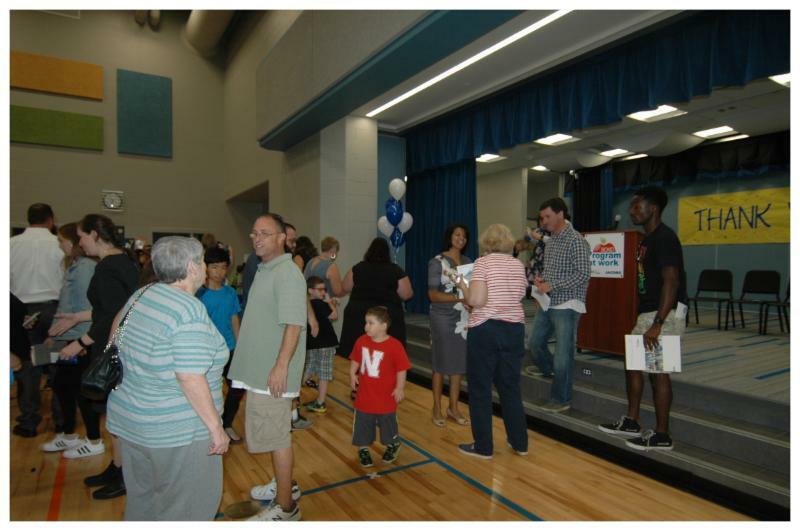 Open house commenced immediately following the ceremony giving parents and the community an opportunity to tour the school and visit with staff. Refreshments for the evening's event were provided by Kenneth Hahn Architects and Lueder Construction. 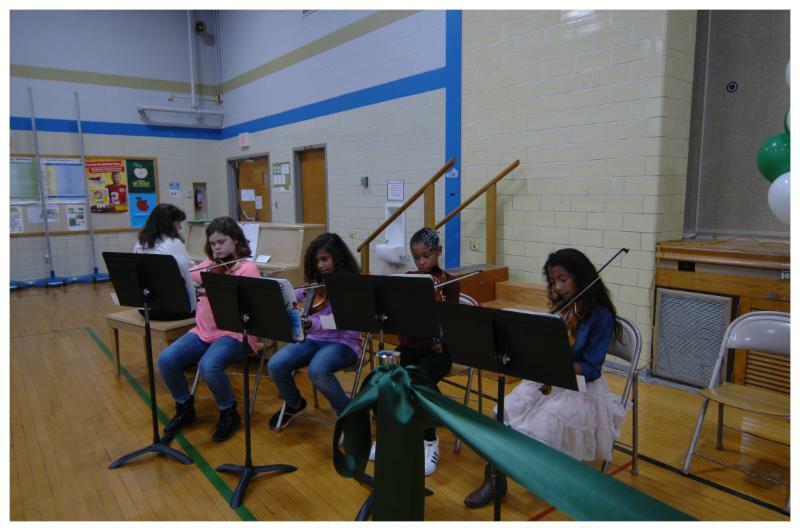 Oak Valley string students opened the ceremony. Principal Glenn Mitchell welcomes guests. Burke's JROTC presented the colors. 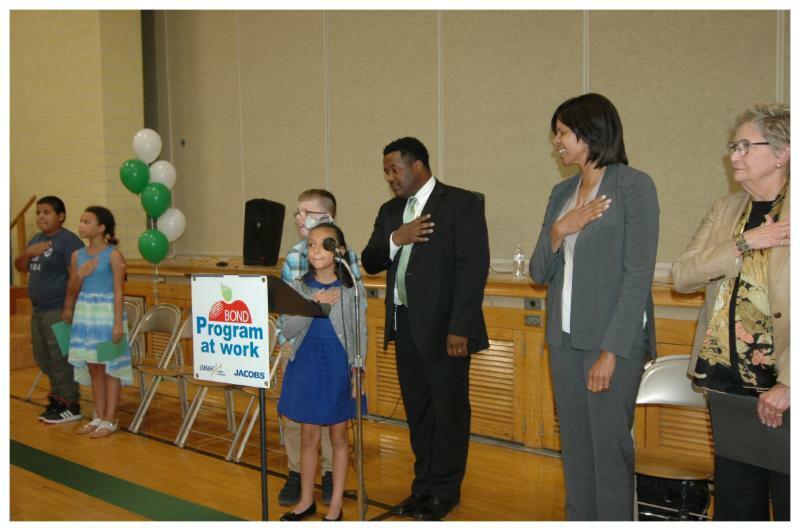 Oak Valley students lead the Pledge of Allegiance . 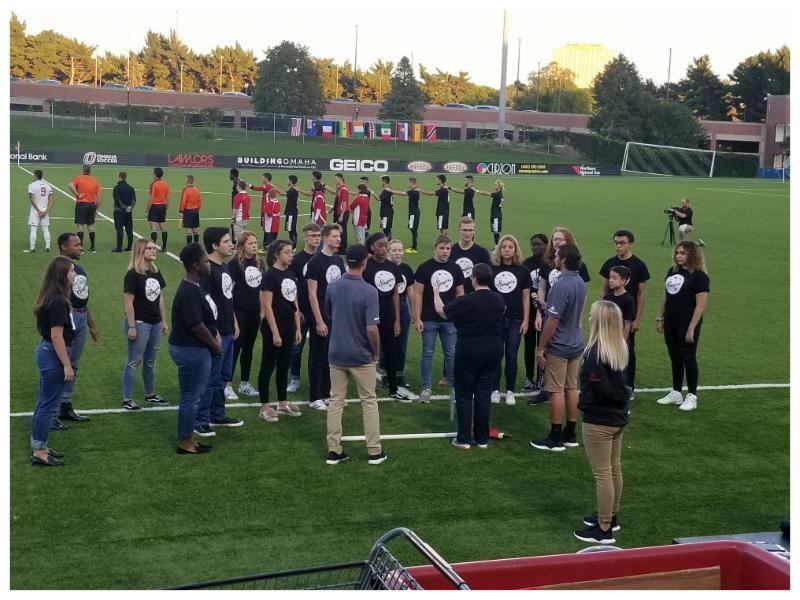 Oak Valley's chorus performed two selections during the ceremony. 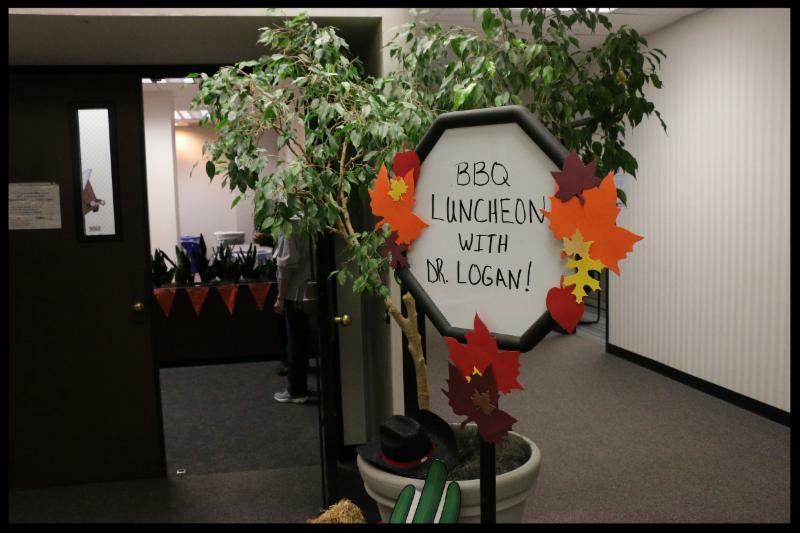 Dr. Logan offered her congratulations to staff, students and the community. 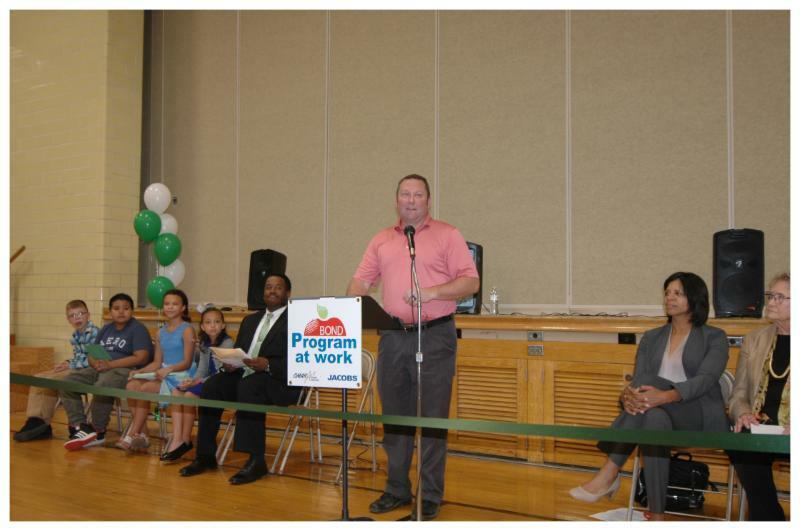 OPS Board member Matt Scanlan spoke during the ceremony. 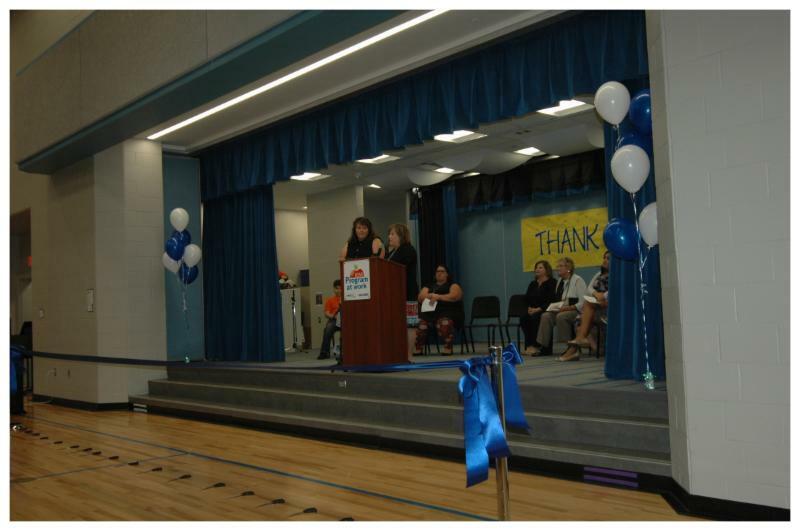 OPS Chief Operations Officer Dr. Antoinette Turnquist spoke about the renovations completed at Oak Valley. 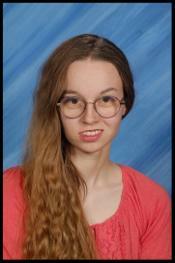 Oak Valley student Dayvie White spoke about what she liked most about the building. Oak Valley student Rey Martinez also spoke. 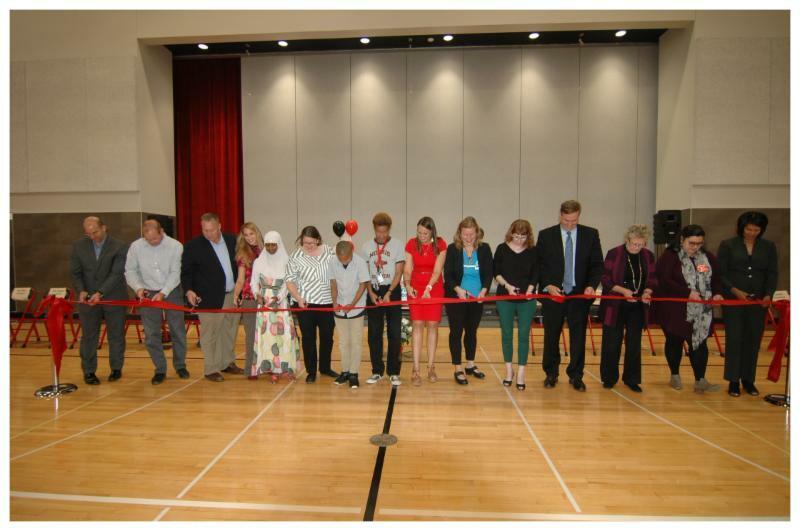 The ribbon cutting by staff, students, community members and guests. 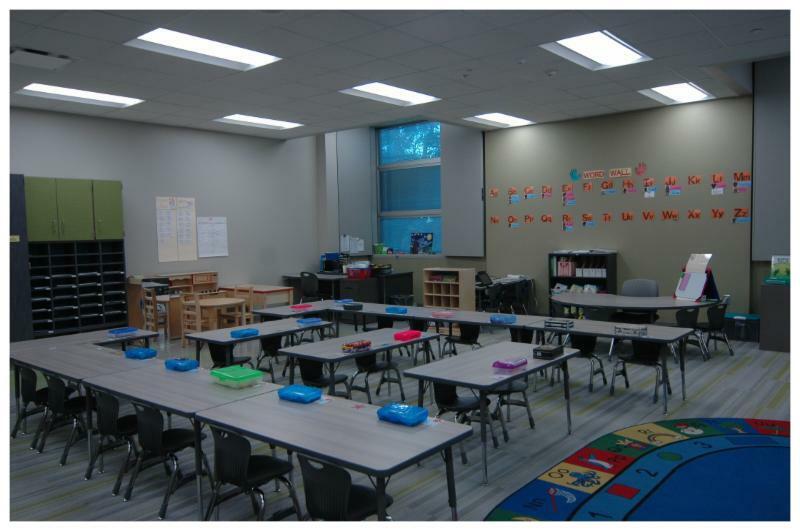 One of Oak Valley's renovated classrooms. 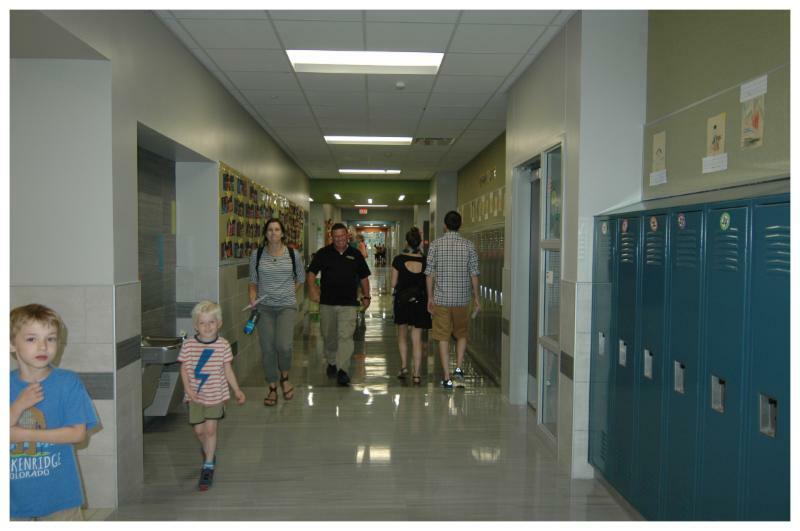 Parents walk through updated hallways during open house. 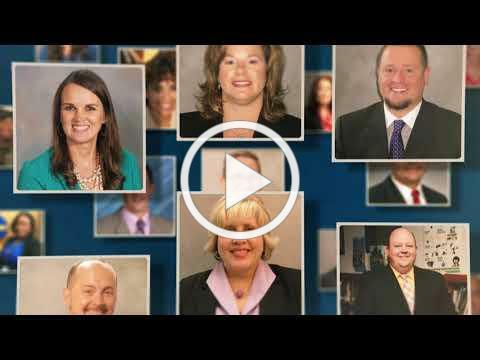 This month, we are featuring a video honoring out outstanding Omaha Public Schools' principals.